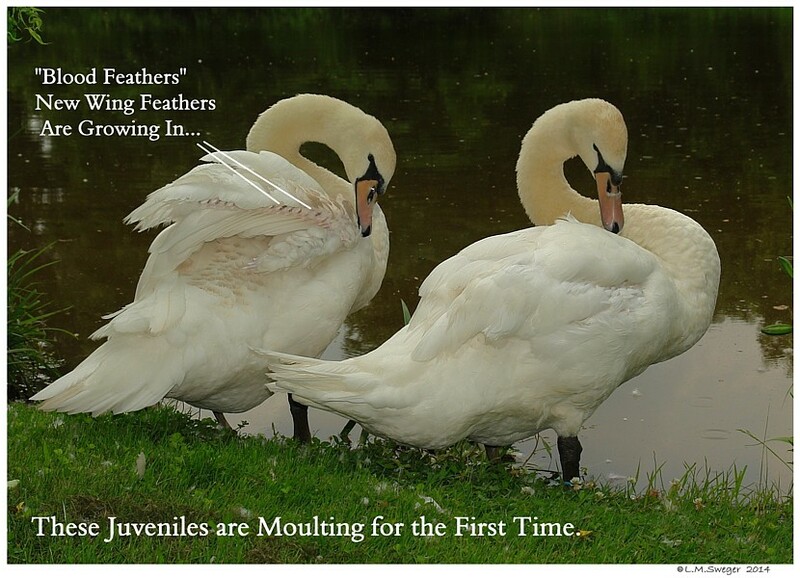 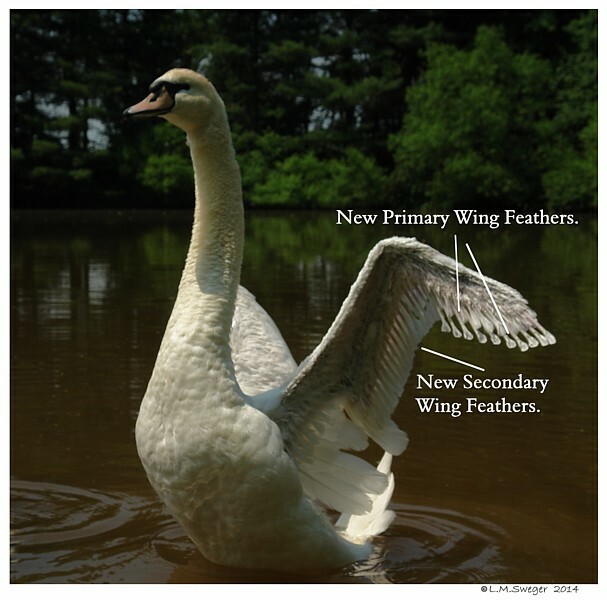 Collectively their Feathers are called Plumage. 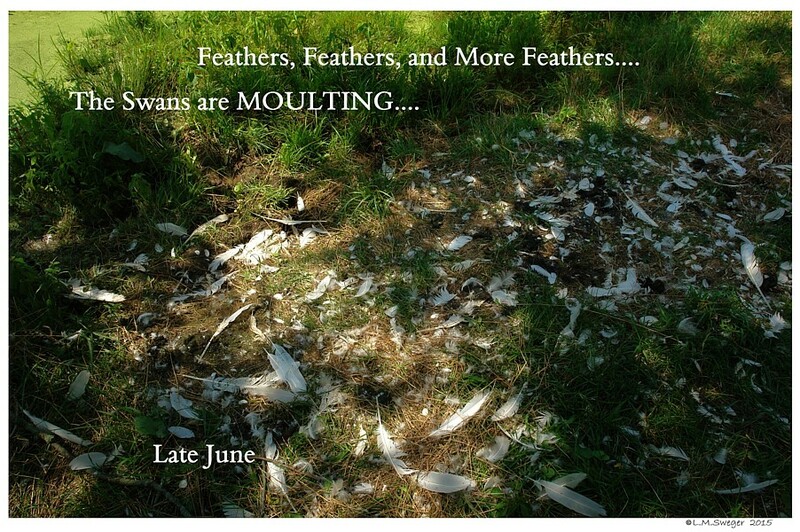 to Renew all their Worn Feathers. 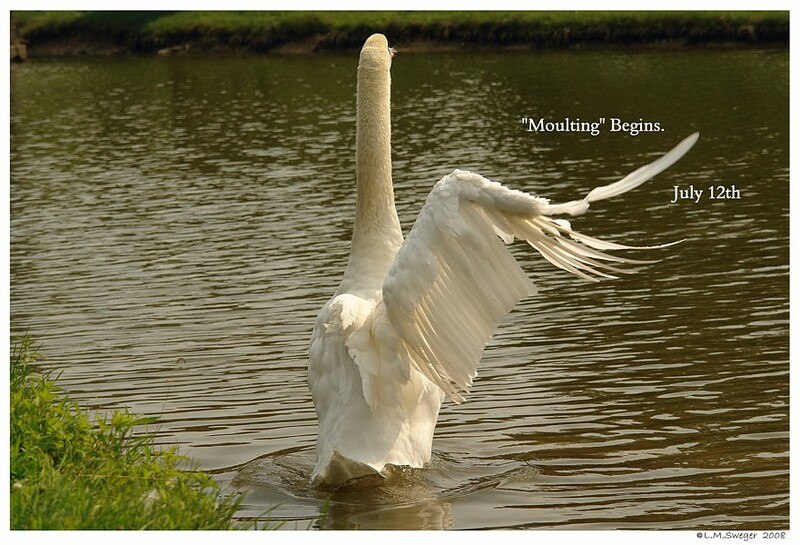 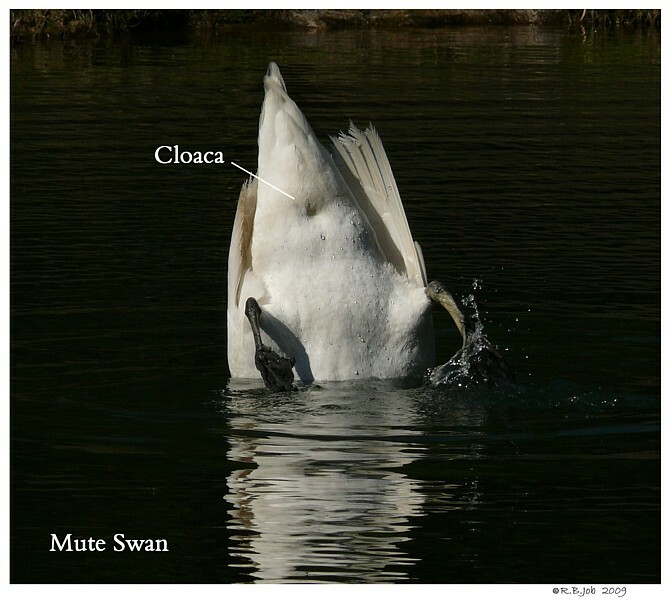 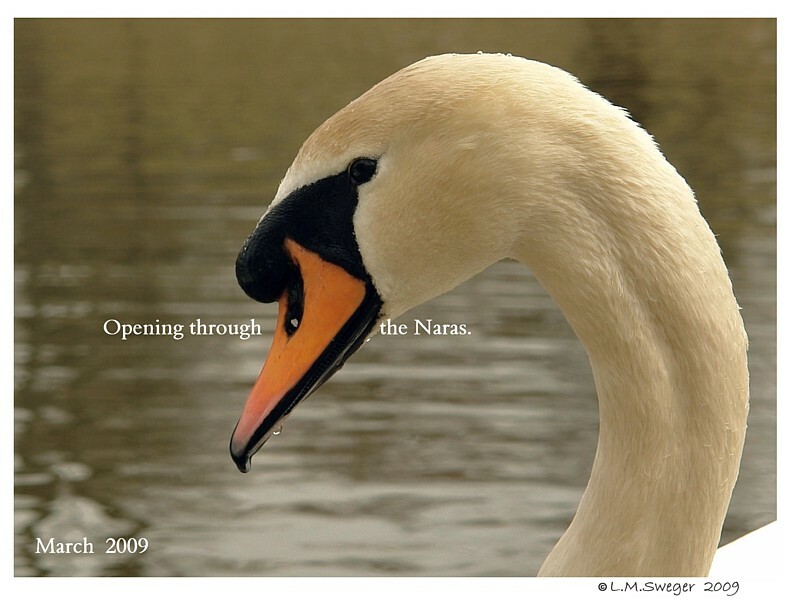 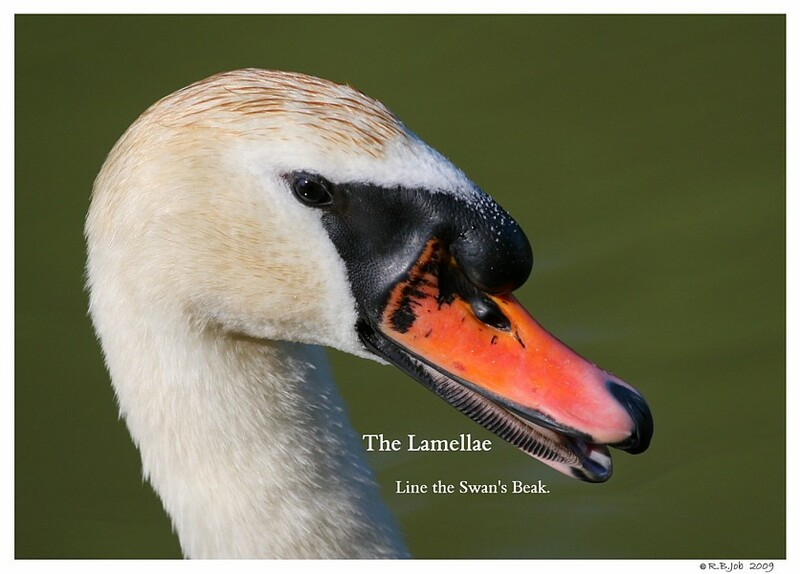 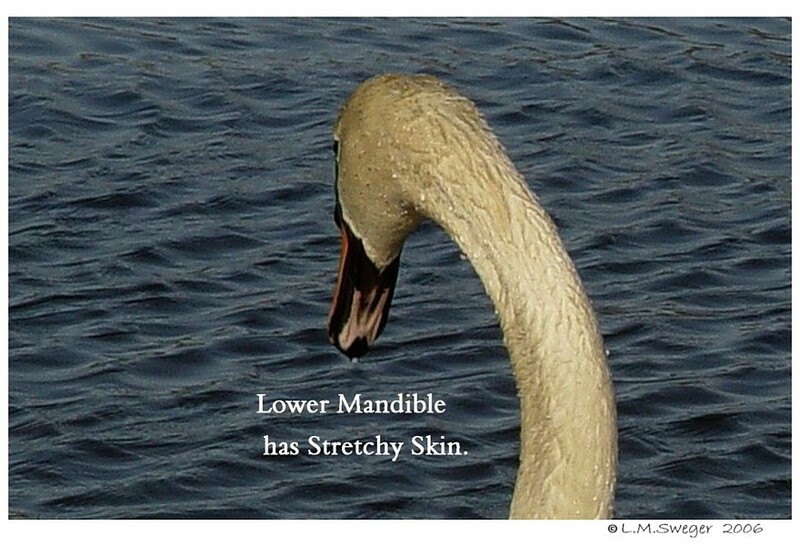 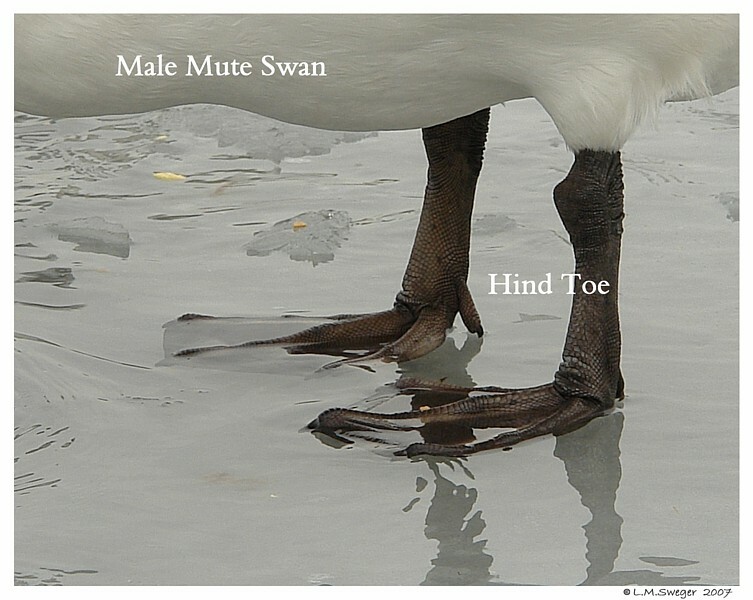 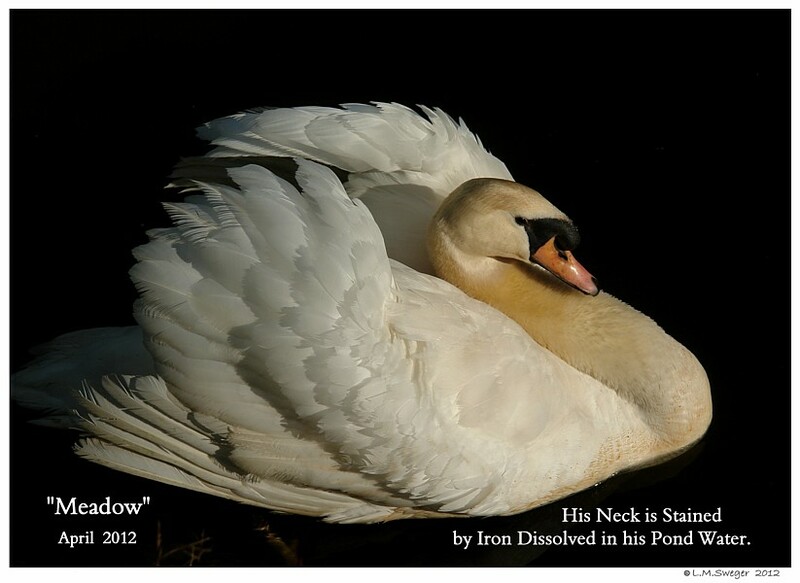 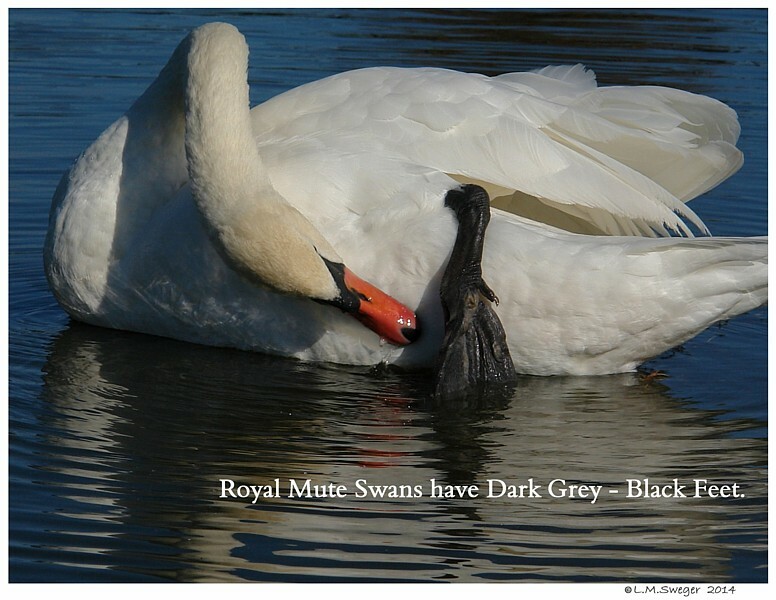 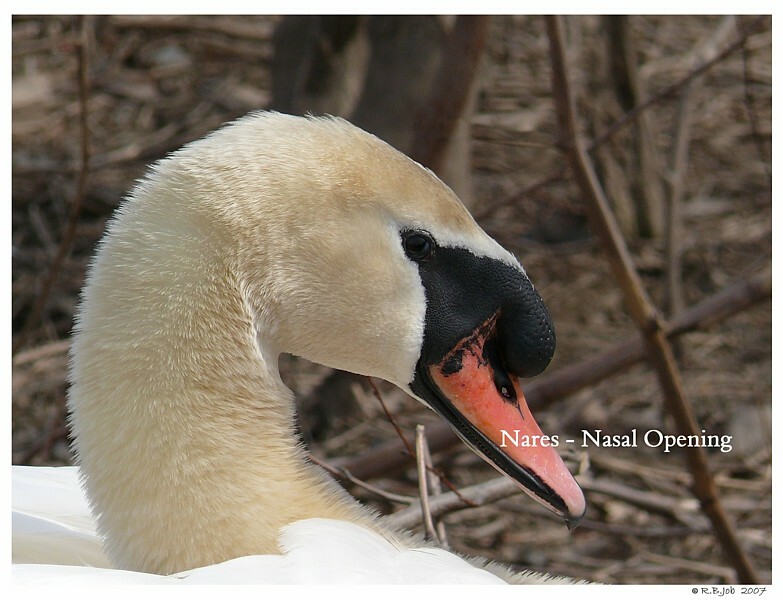 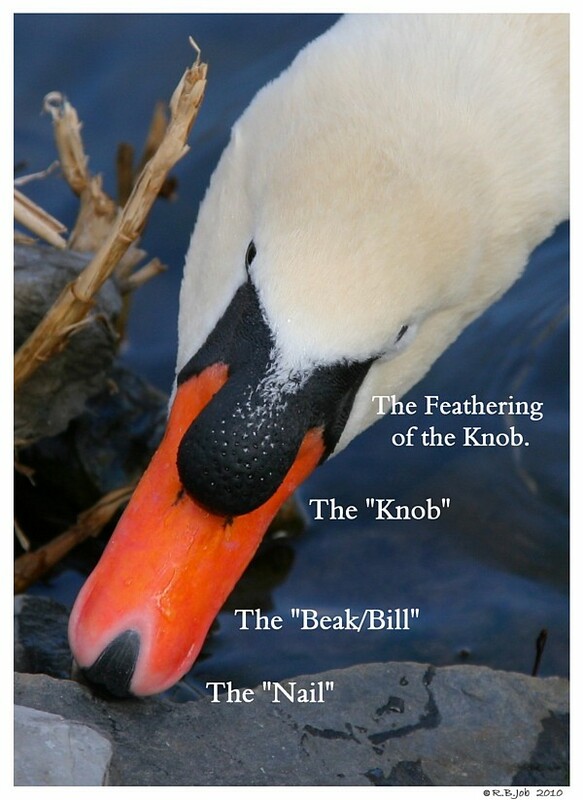 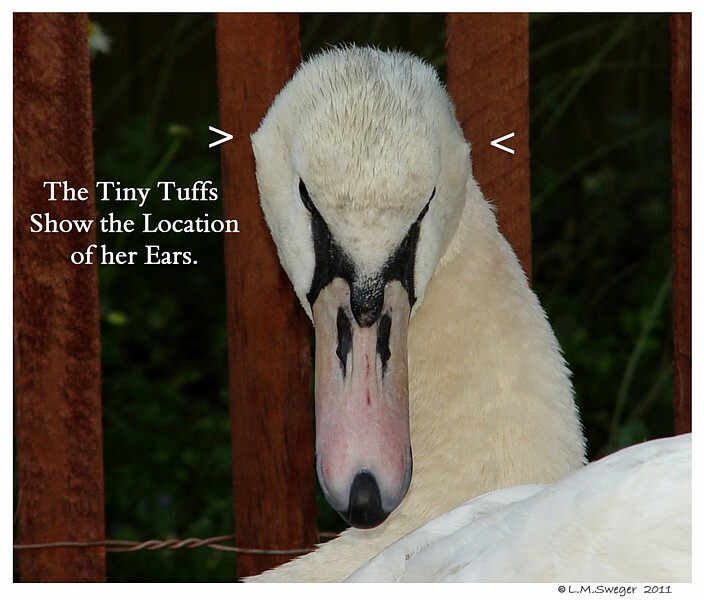 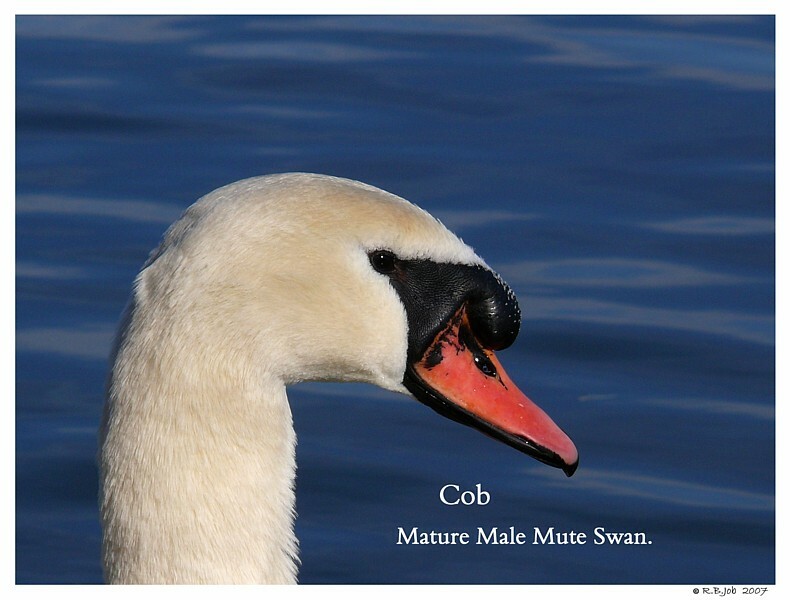 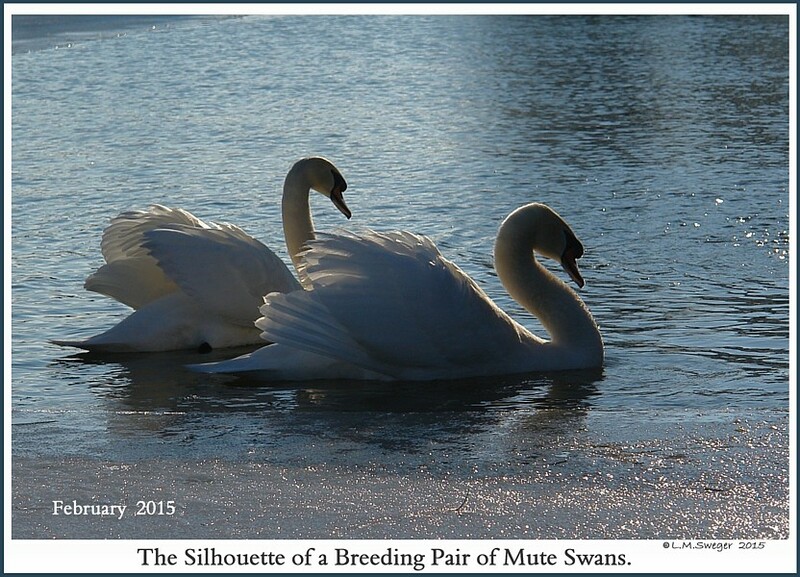 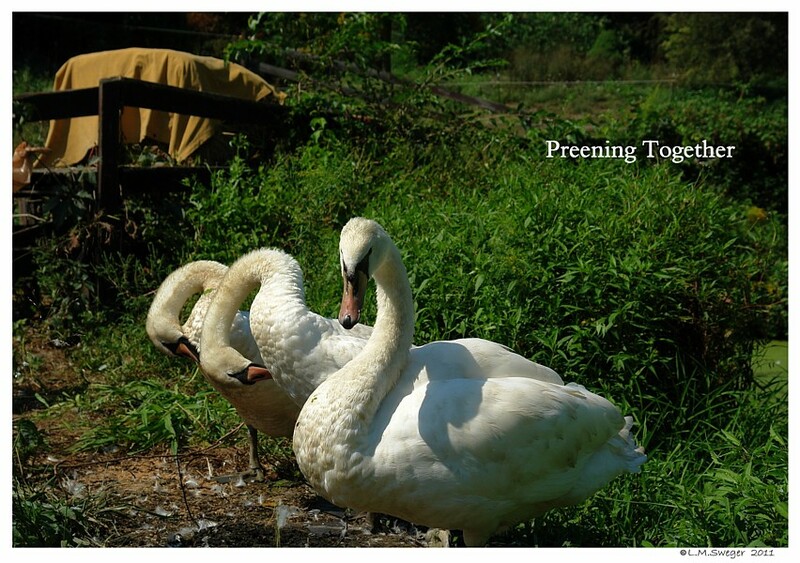 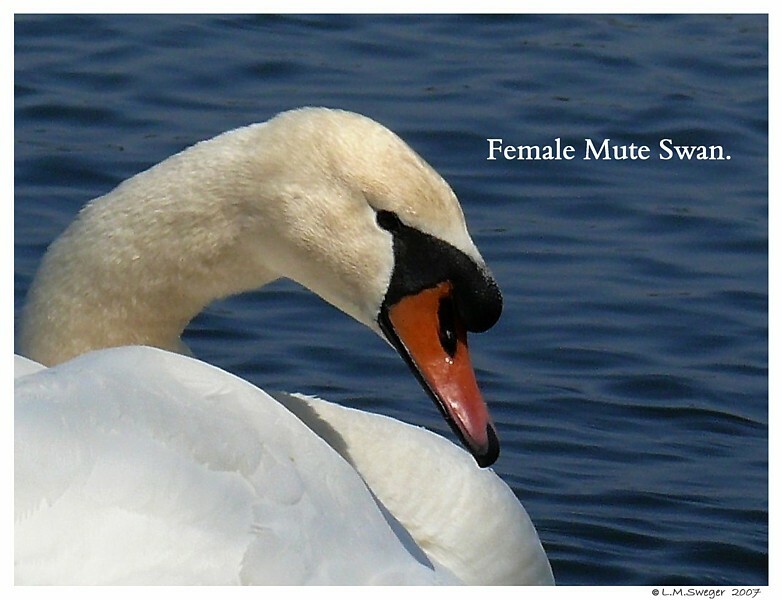 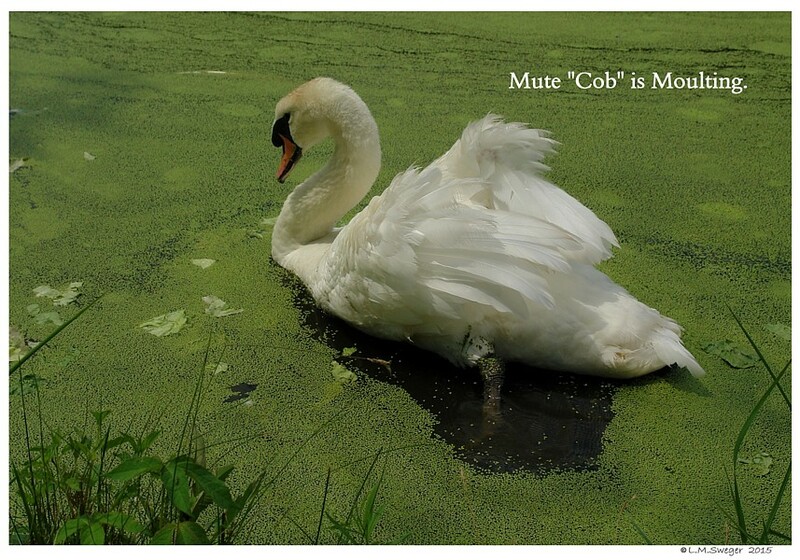 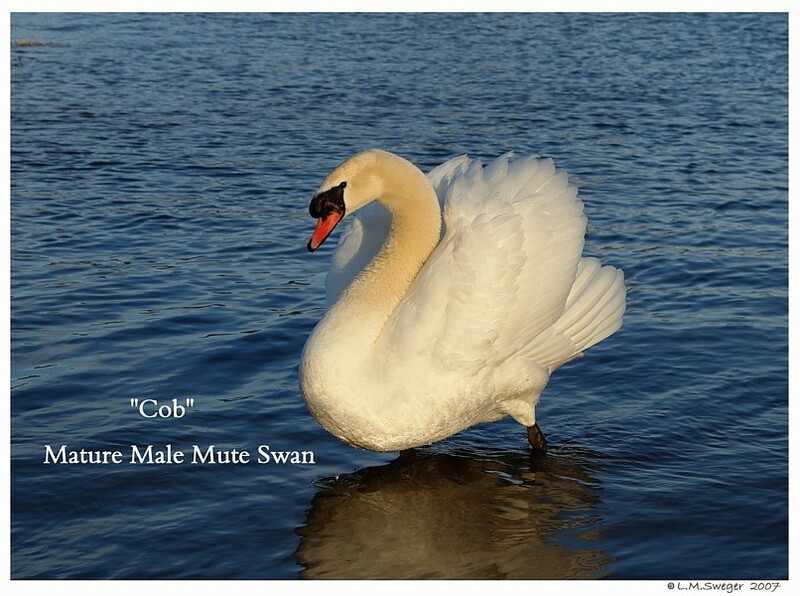 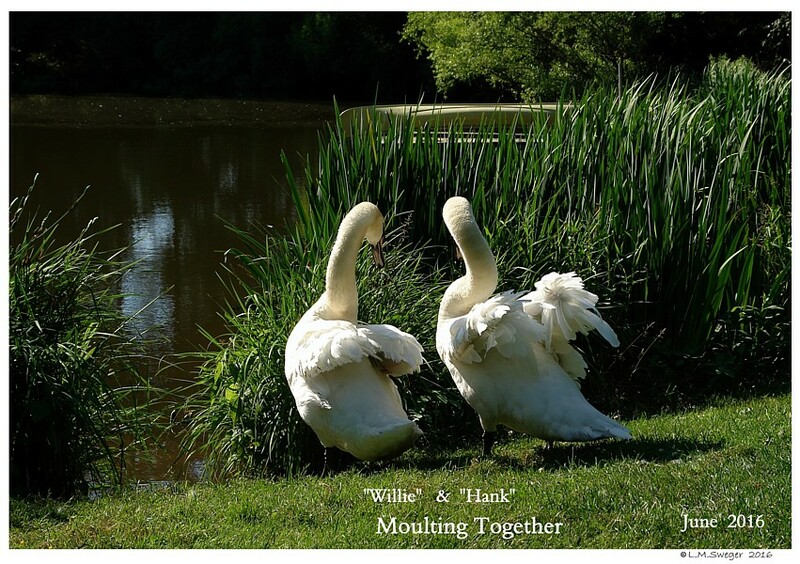 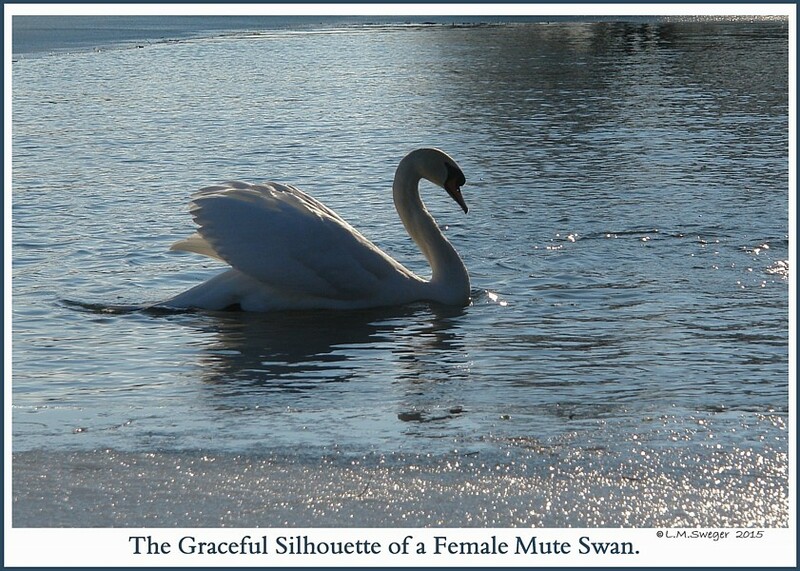 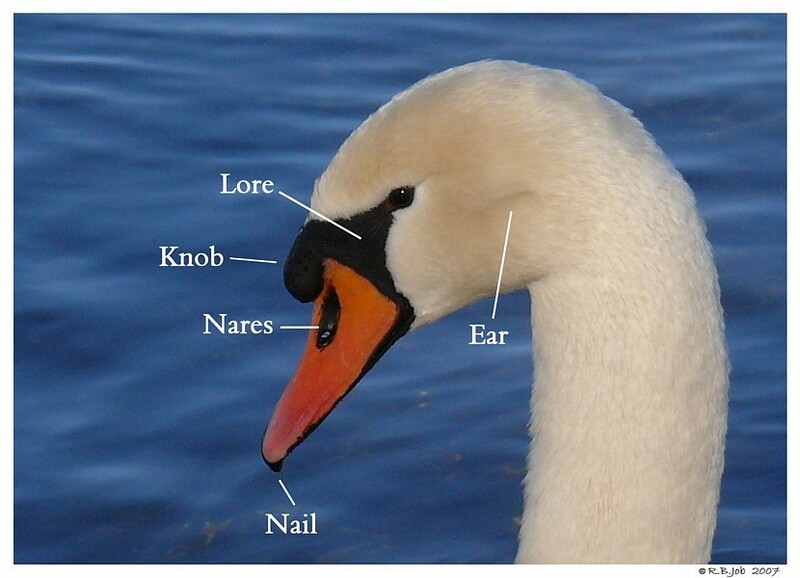 Swans use their Beak and Head to do most of their Preening. 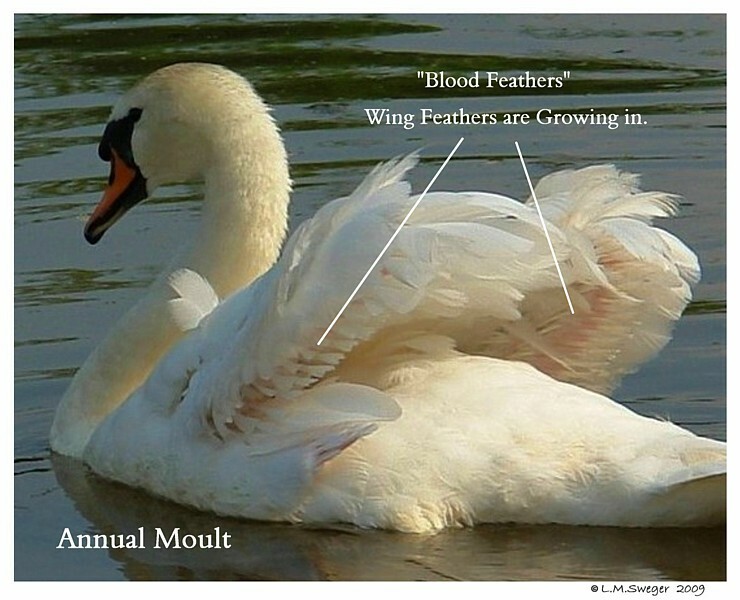 The Tiny Feathers on their Heads become Worn. 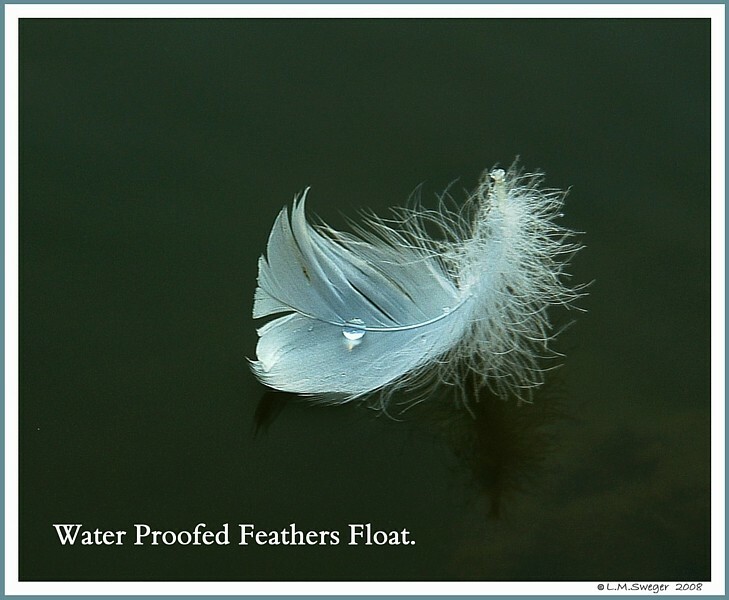 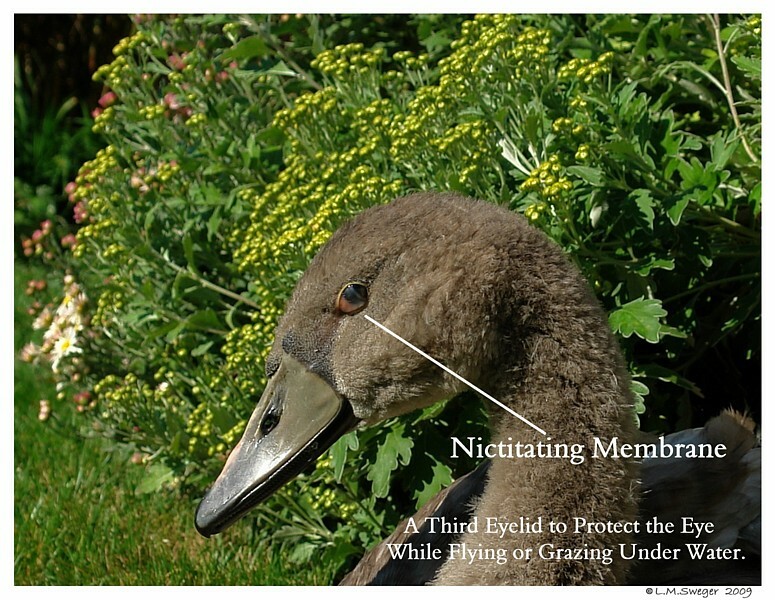 If there is Iron in their Pond Water, this Mineral attaches to these Feathers. 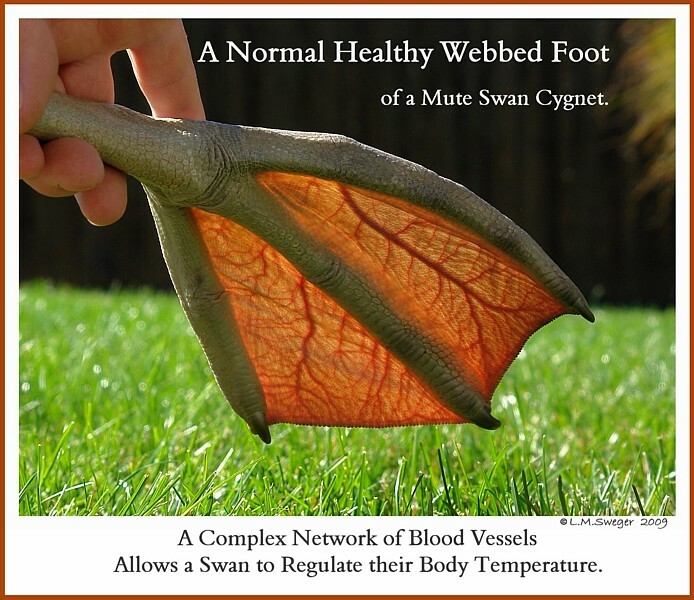 Air interacts with the Iron Particles and Rust forms. 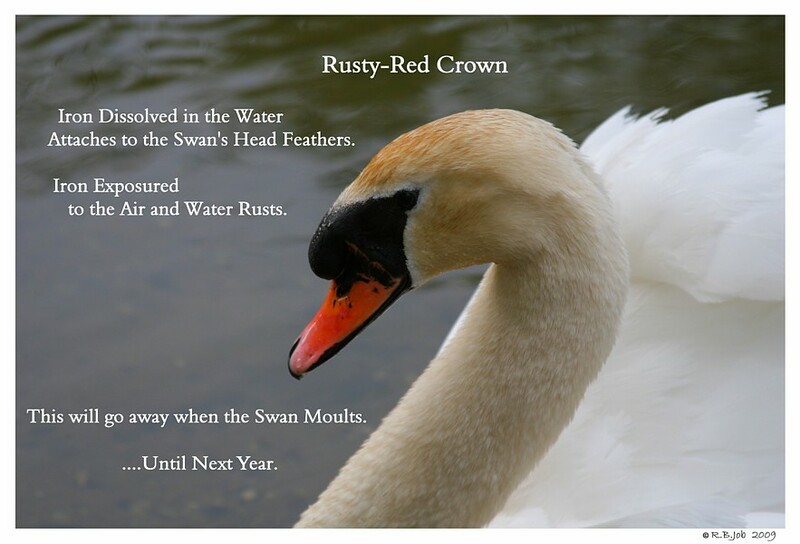 This Rusty Cap will be Renewed to a Clean White during their Annual Moult. 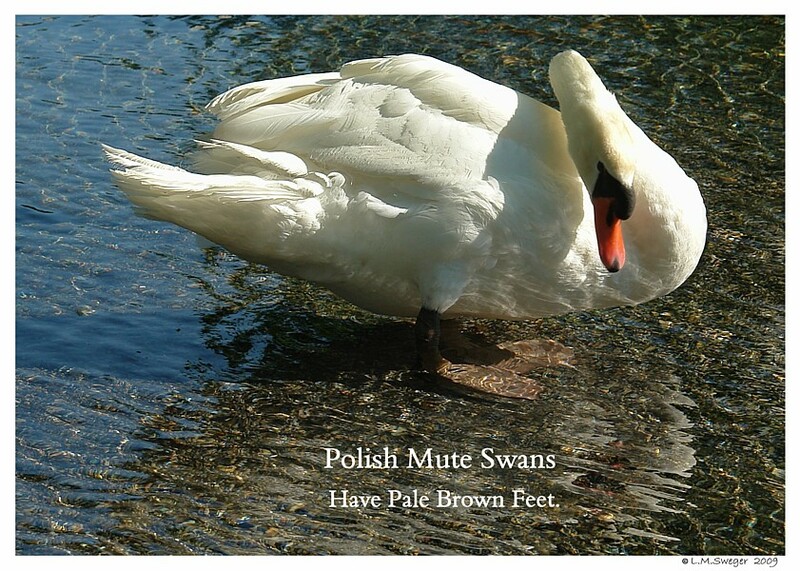 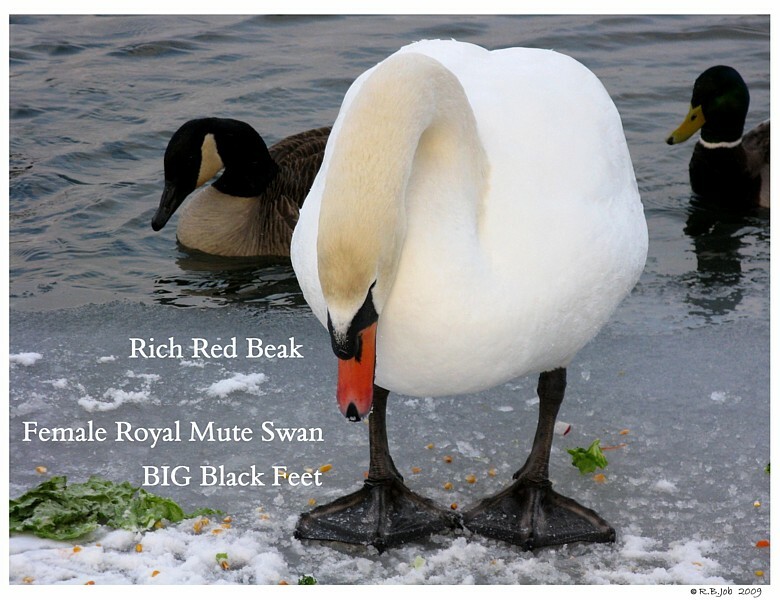 Mute Swan Red-Head Iron Stains. 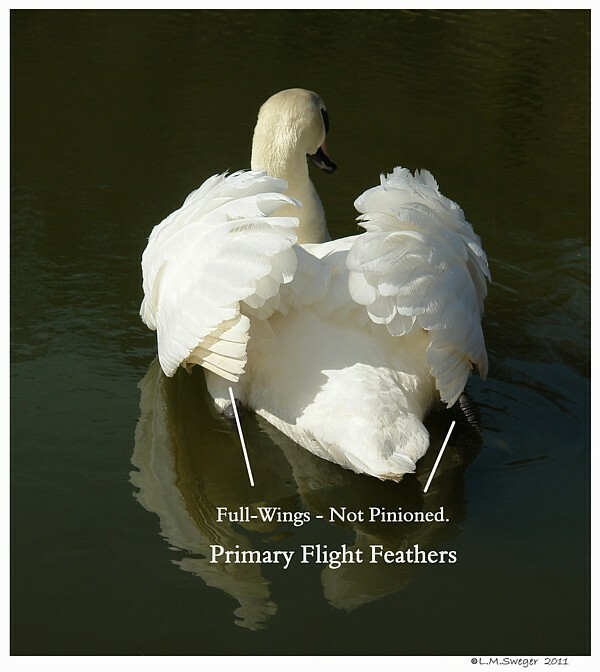 It is Easy to Spot their Large Primary Flight Feathers. 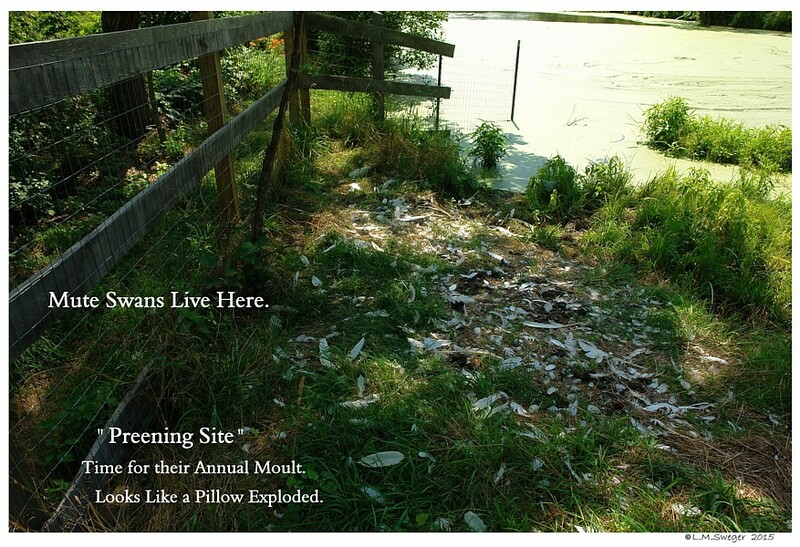 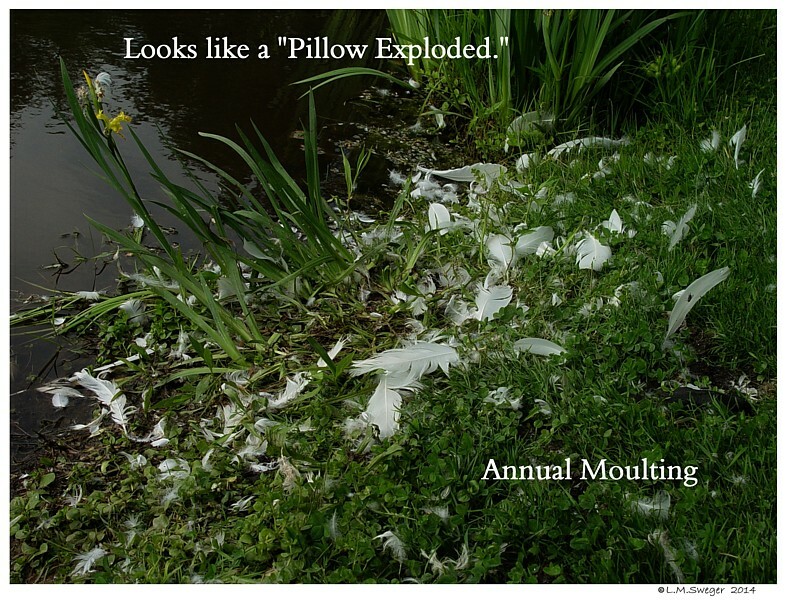 Their Preening Area will Look like a Pillow Exploded. 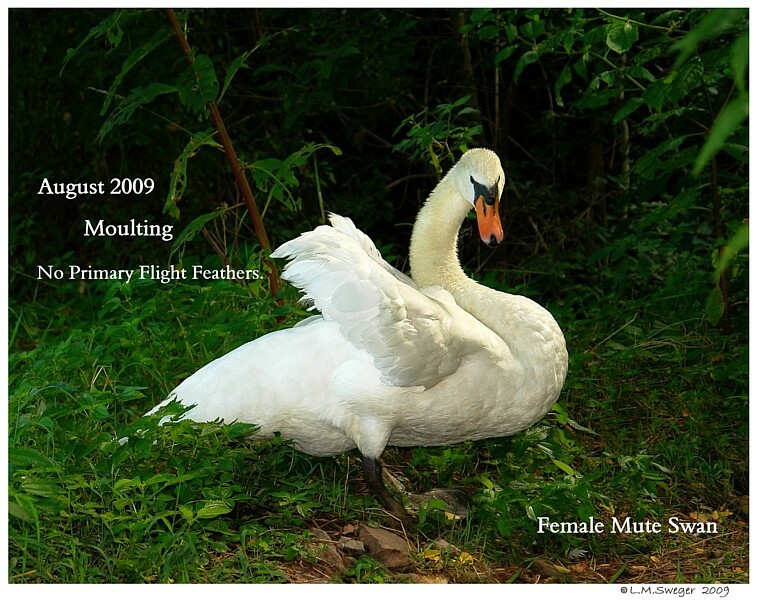 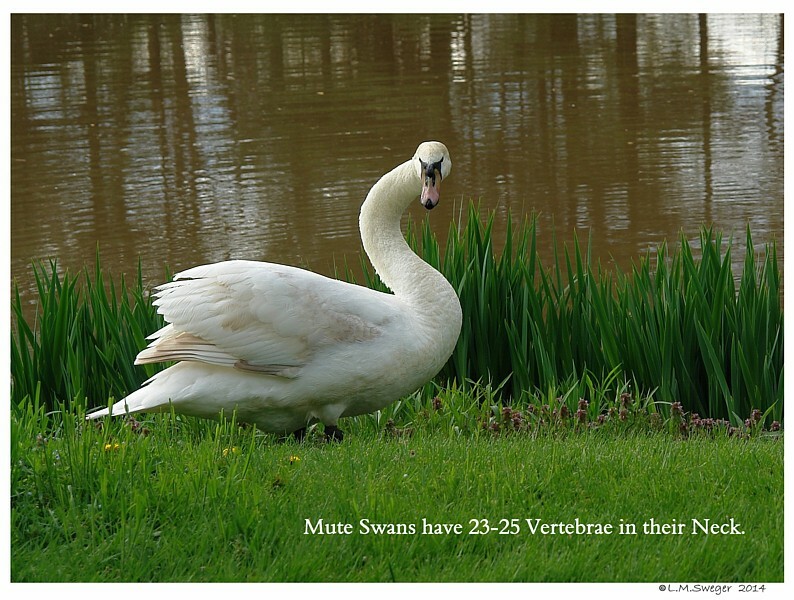 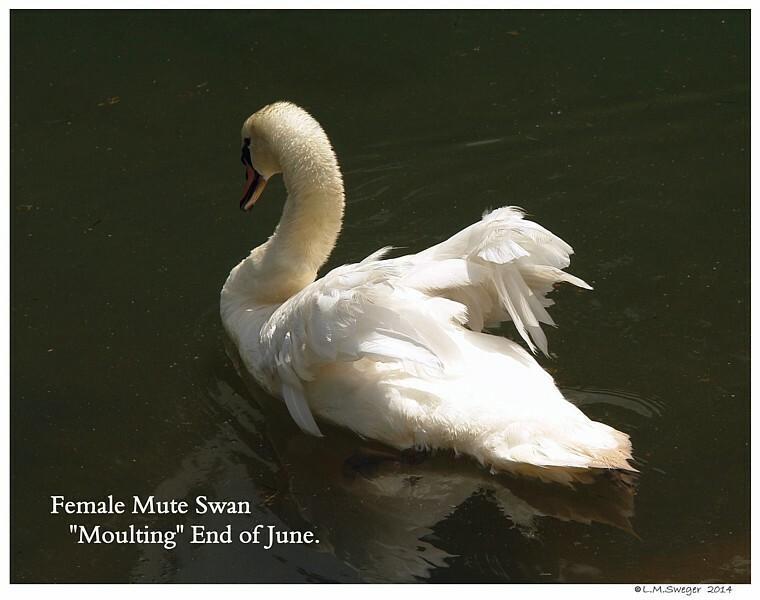 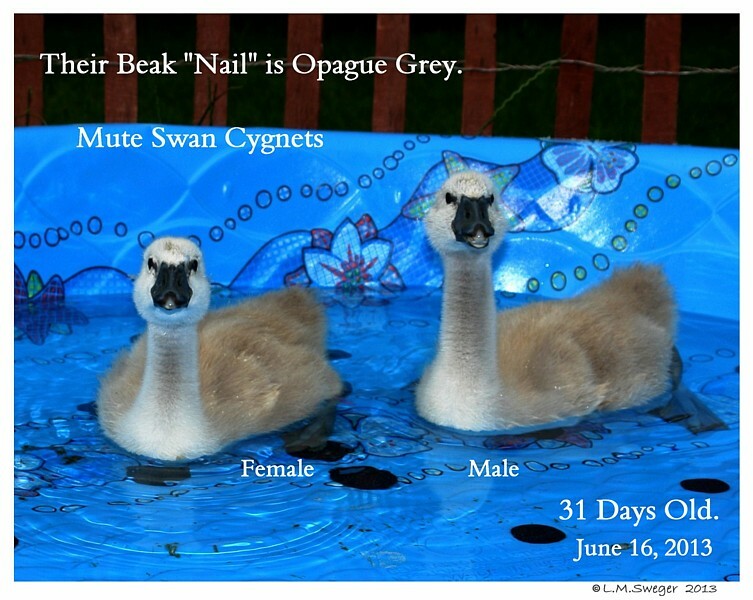 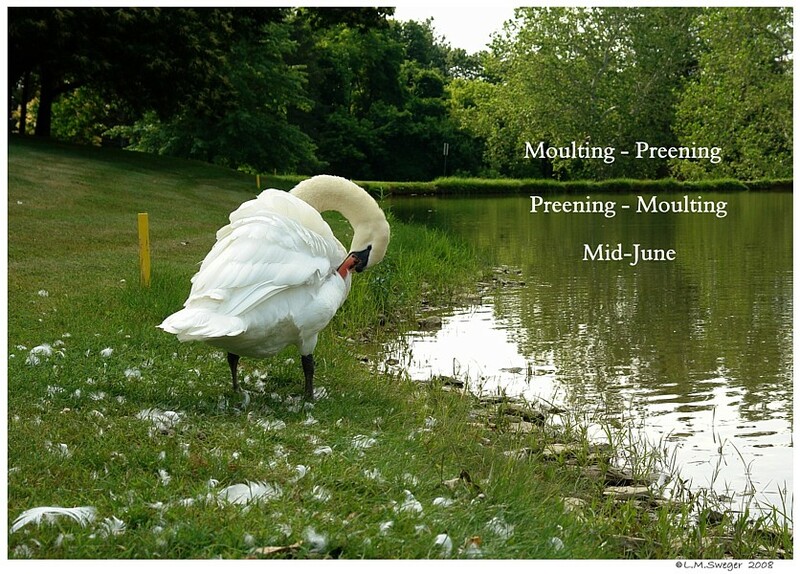 Females Generally Moult in June – Males in July. 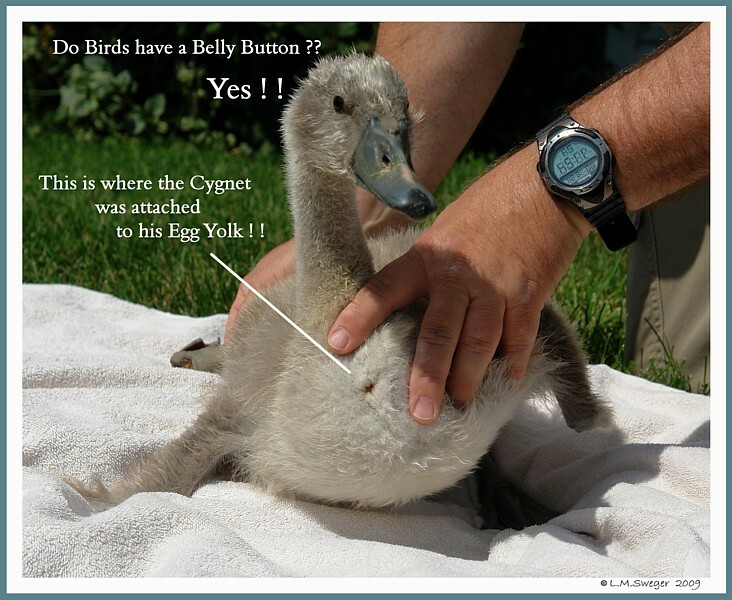 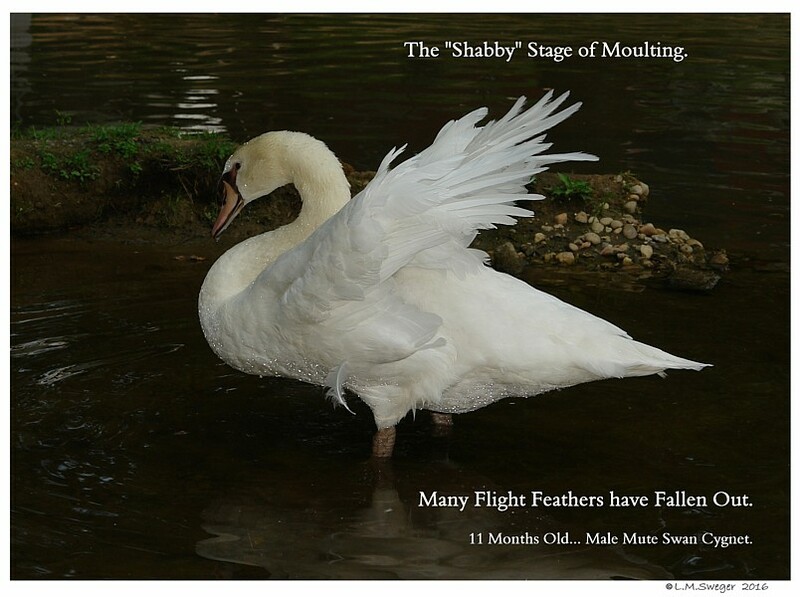 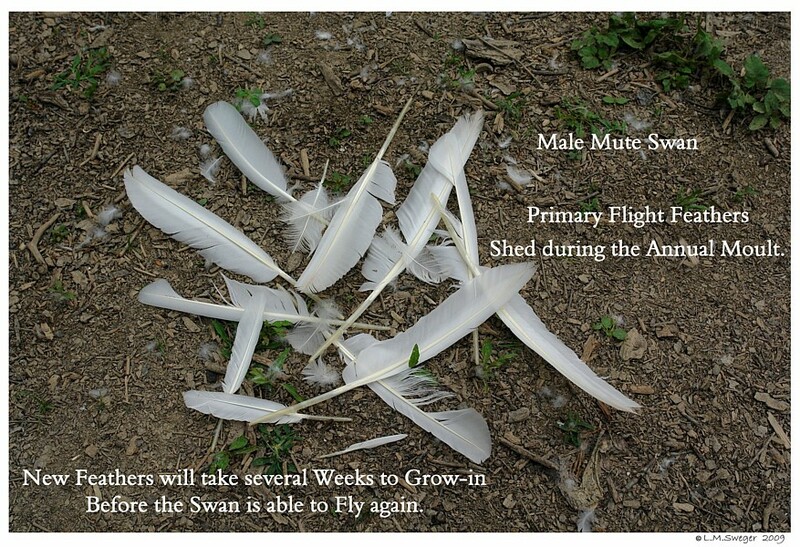 Nature timed the Adults Moult so the Female-Dam would be Grounded with her Tiny Cygnets. 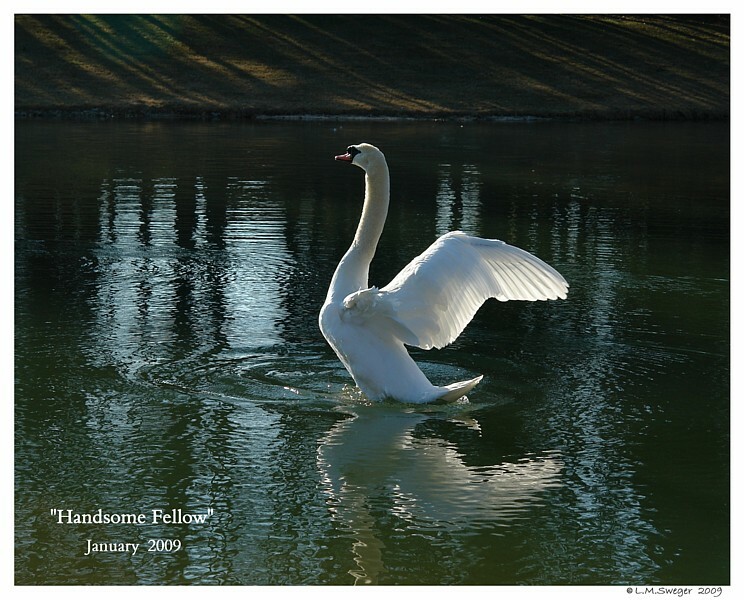 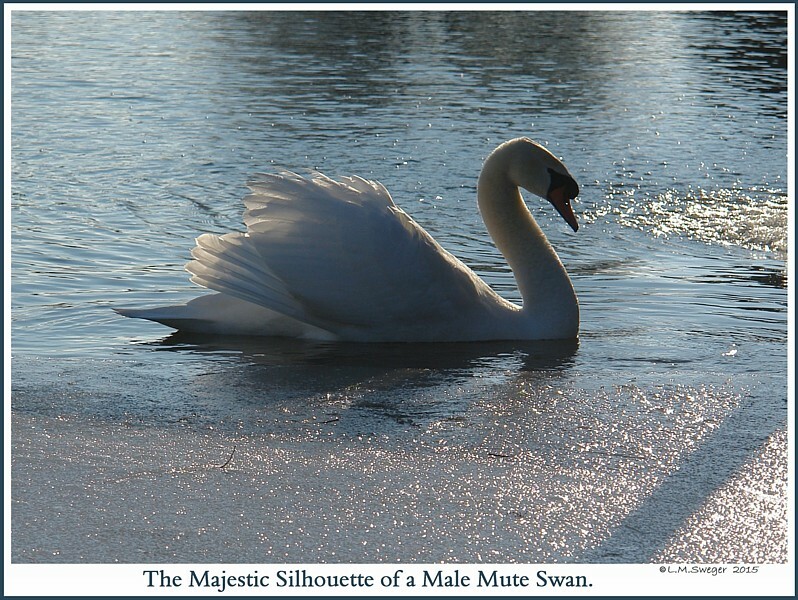 The Male-Sire remains Full-Feathered so he is still able to Flog to Protect his Family. 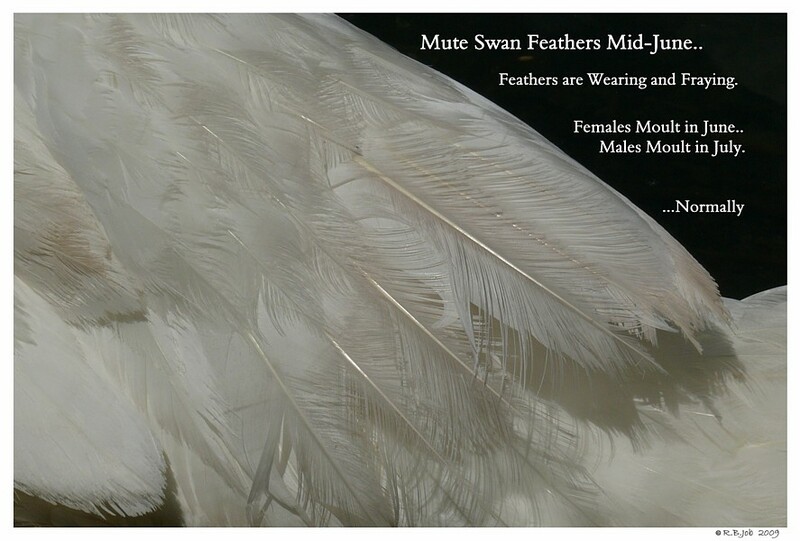 As the Female’s Primary Flight Feathers are growing in the Male will start his Moult. 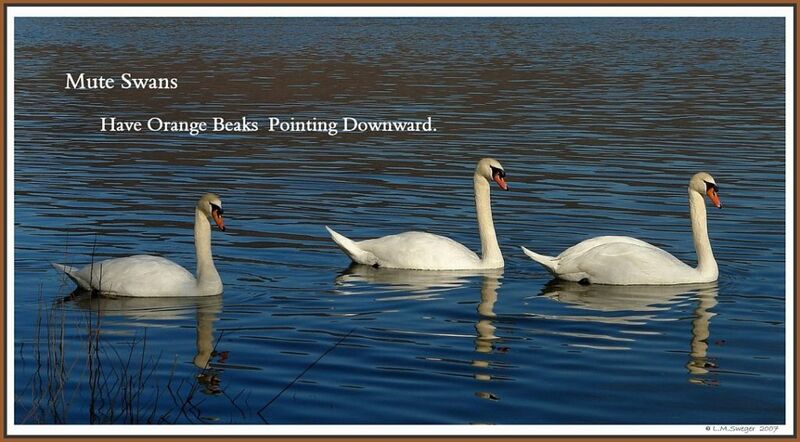 This way they are not both Grounded at the same time. 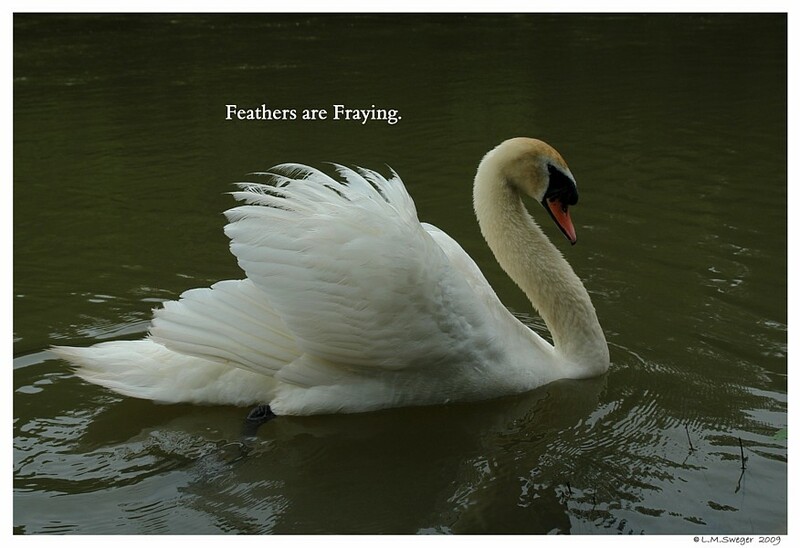 As the New Feathers Emerge they are Itchy. 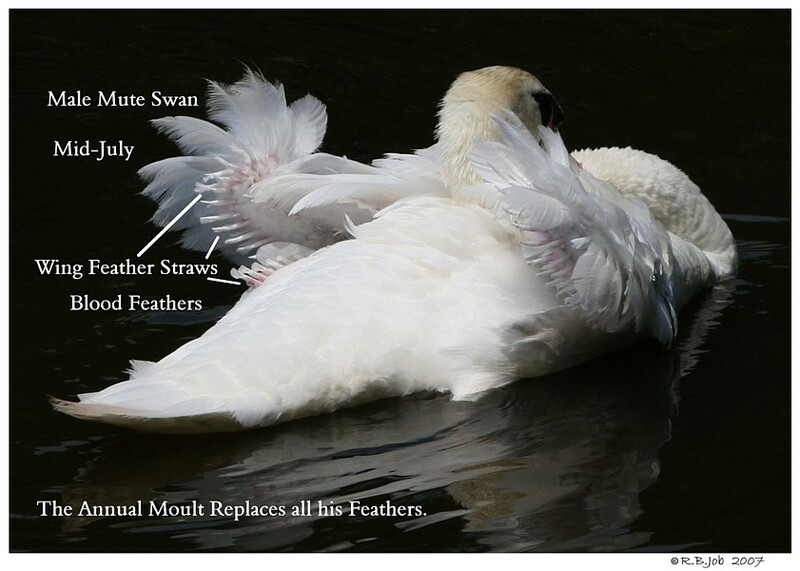 So are many of the Larger Tail Feathers. 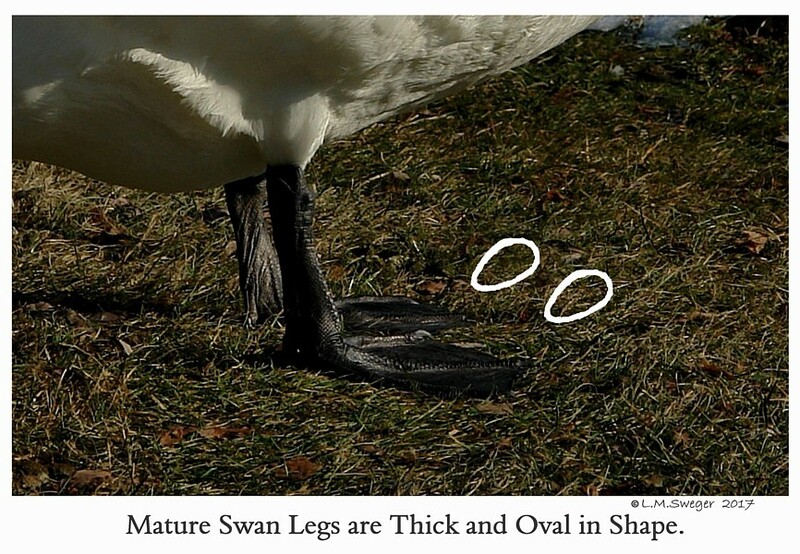 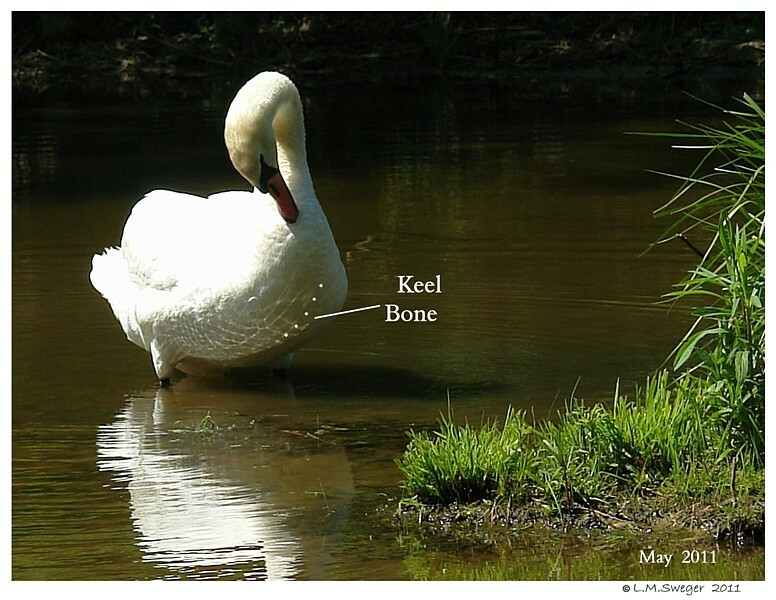 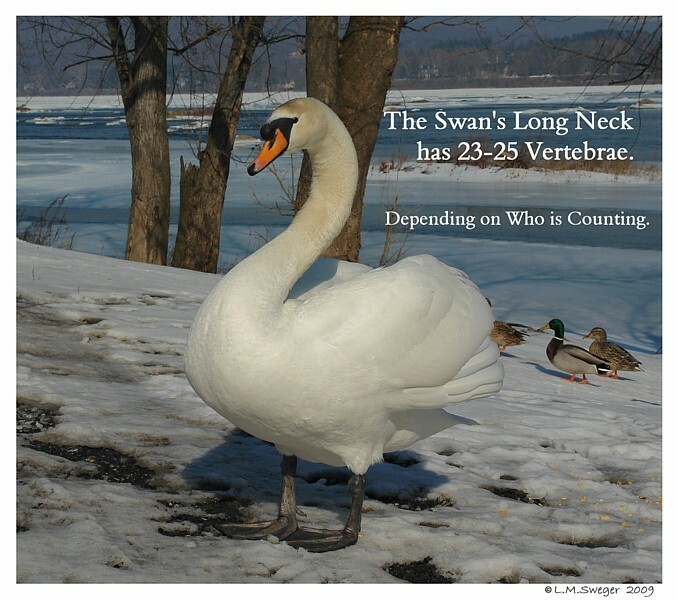 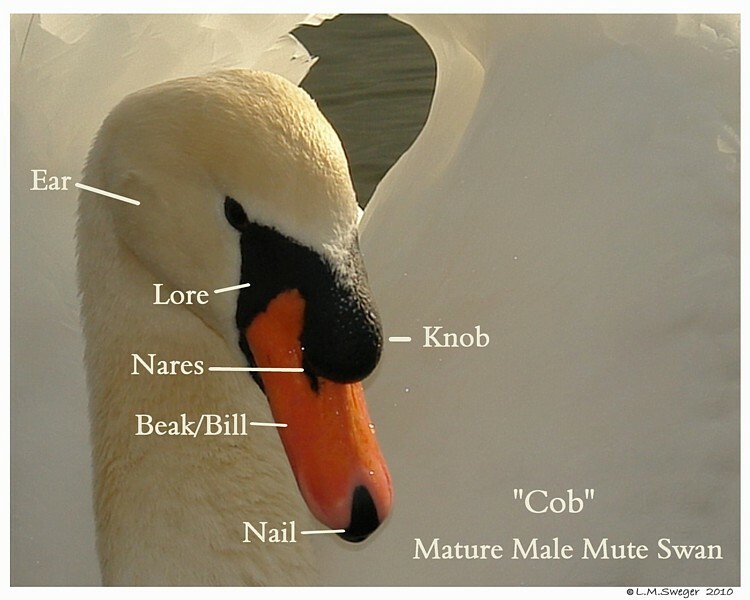 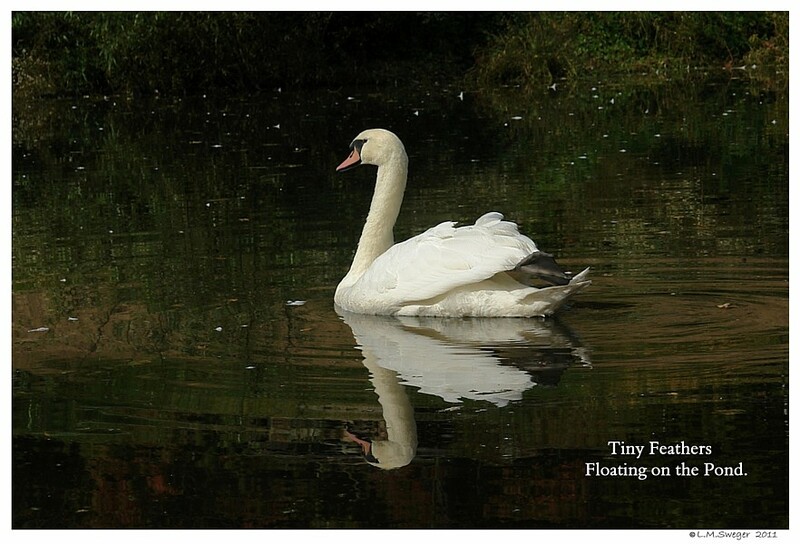 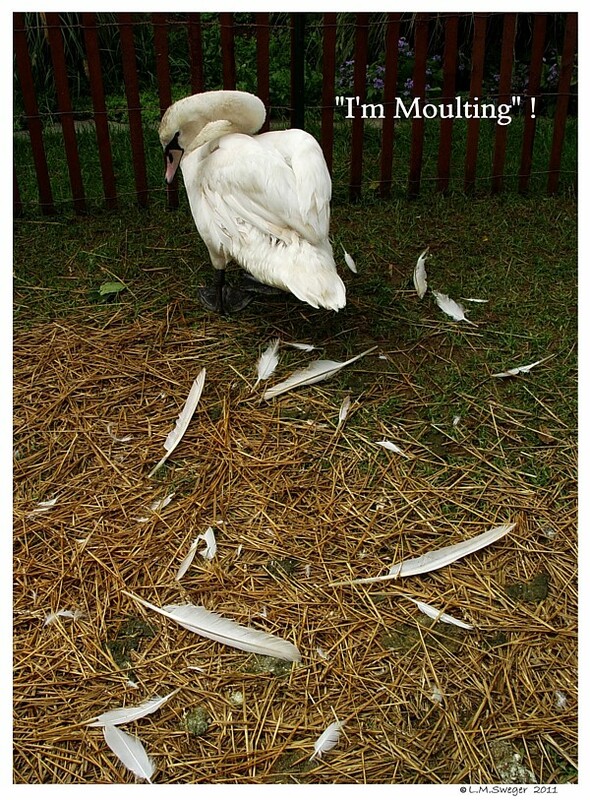 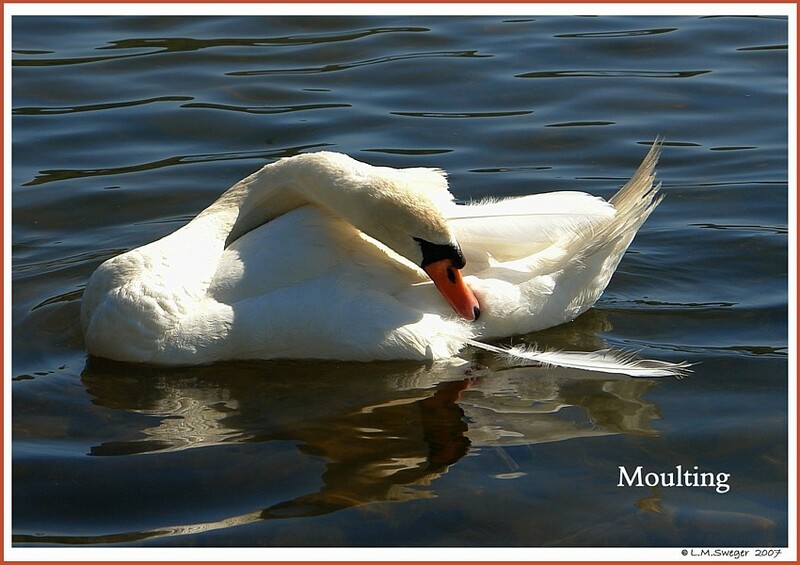 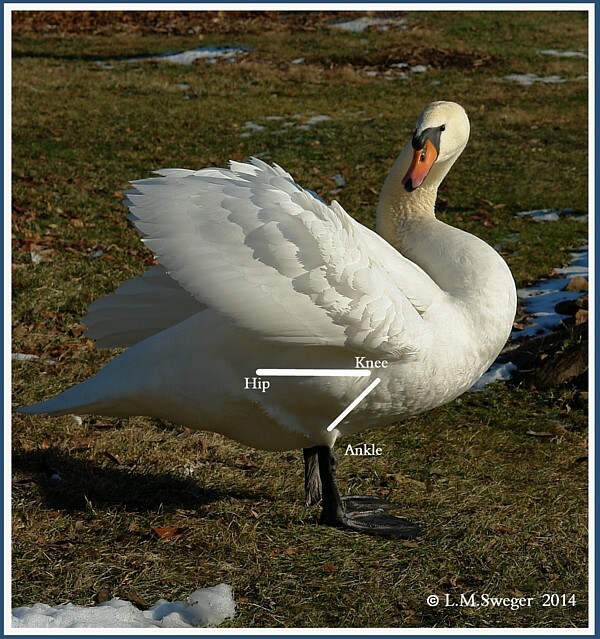 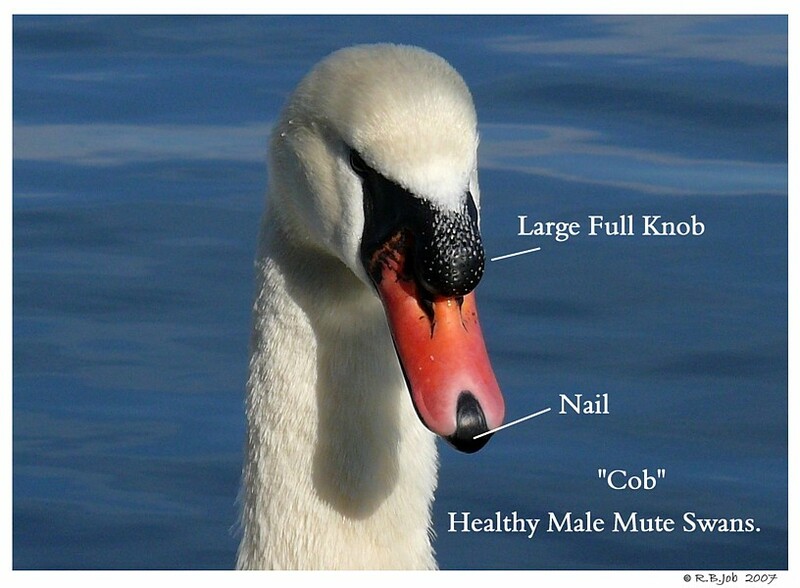 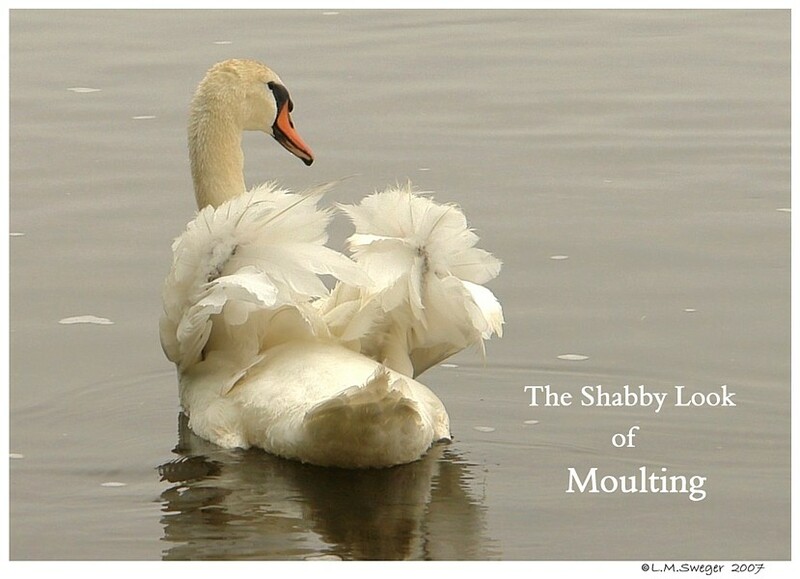 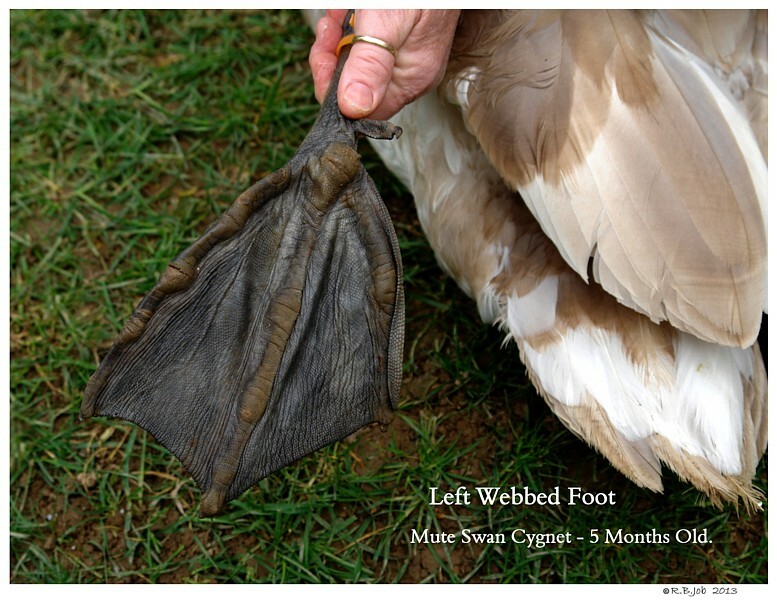 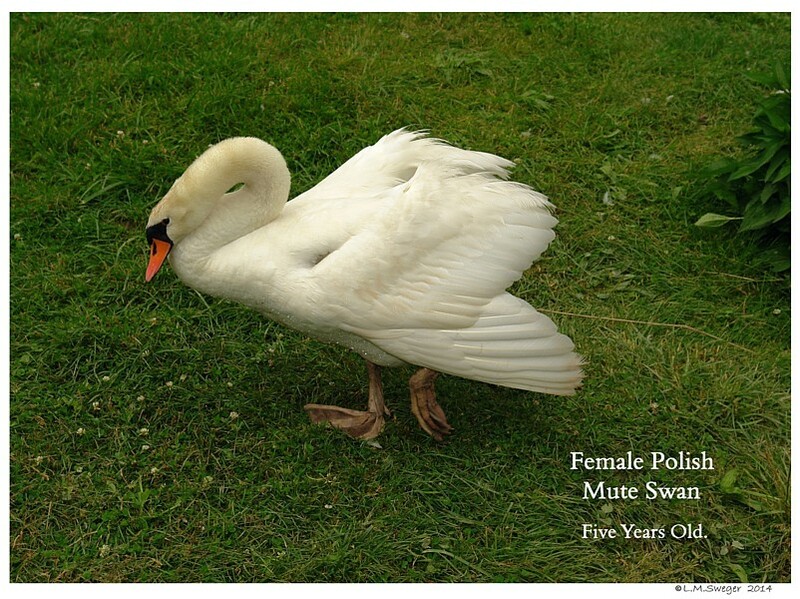 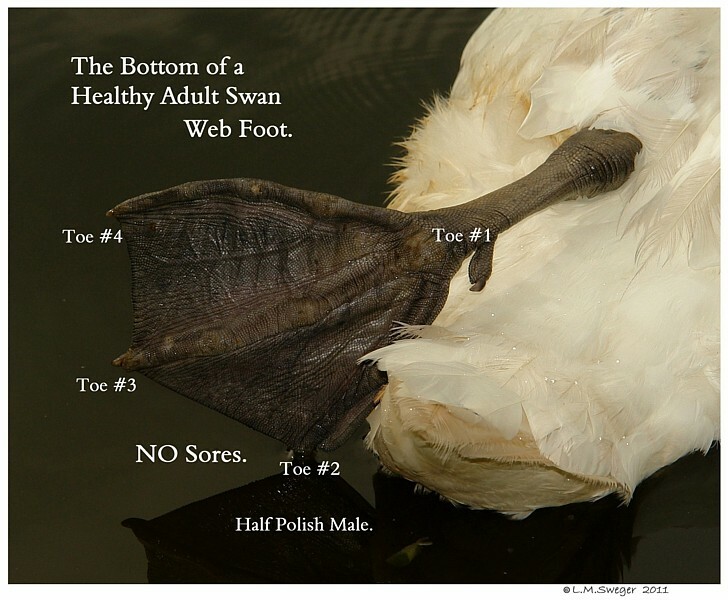 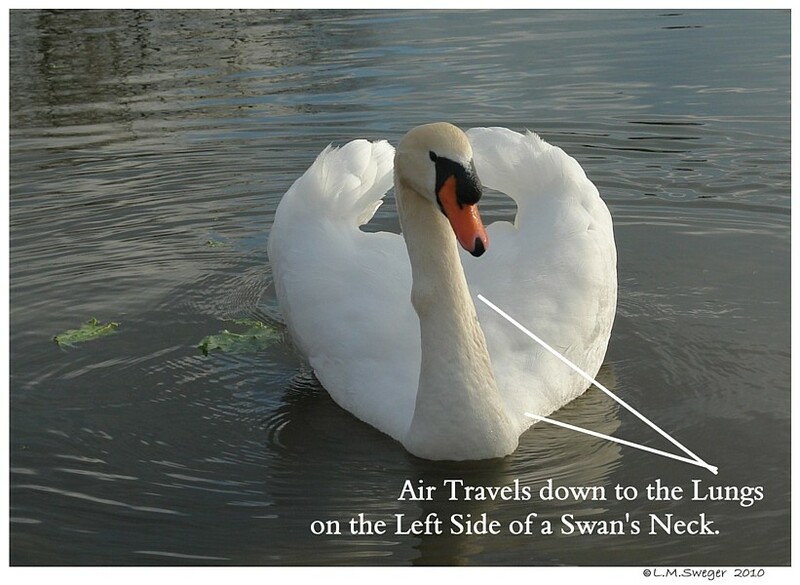 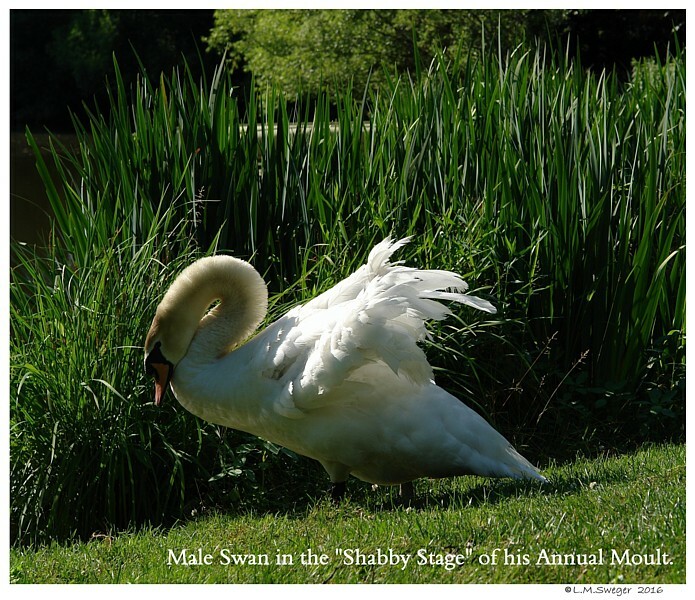 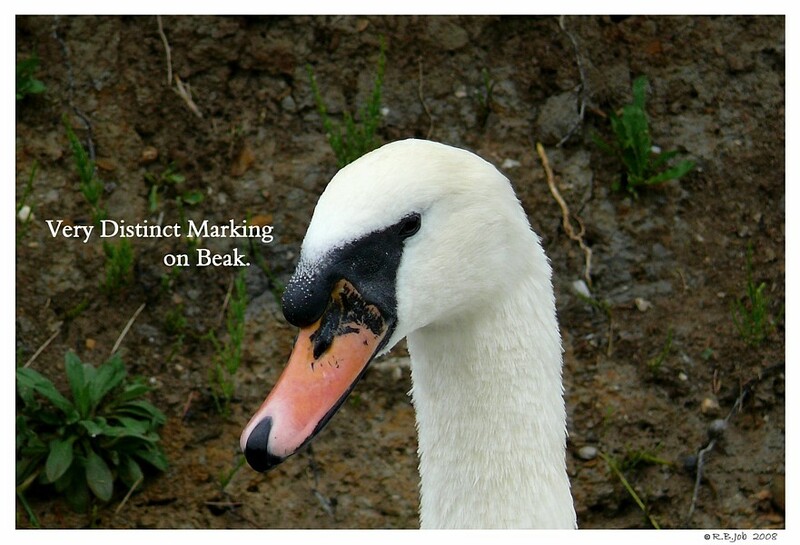 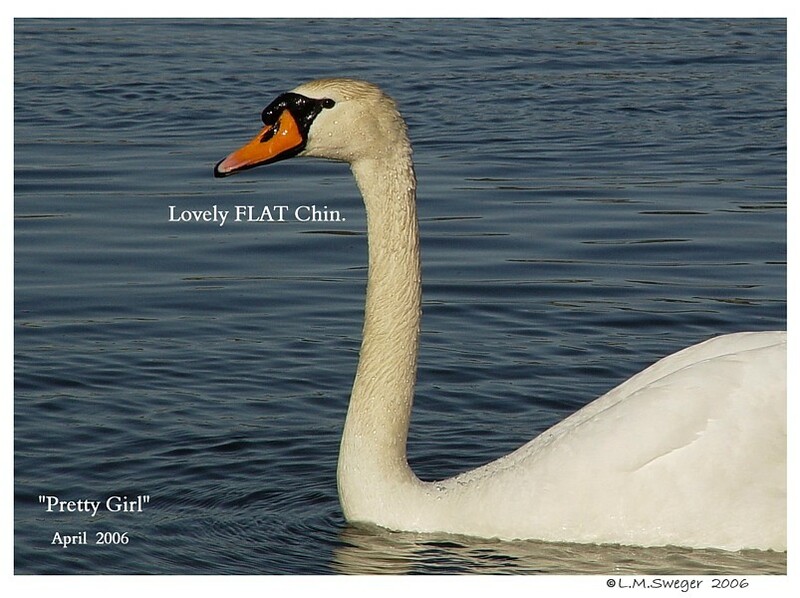 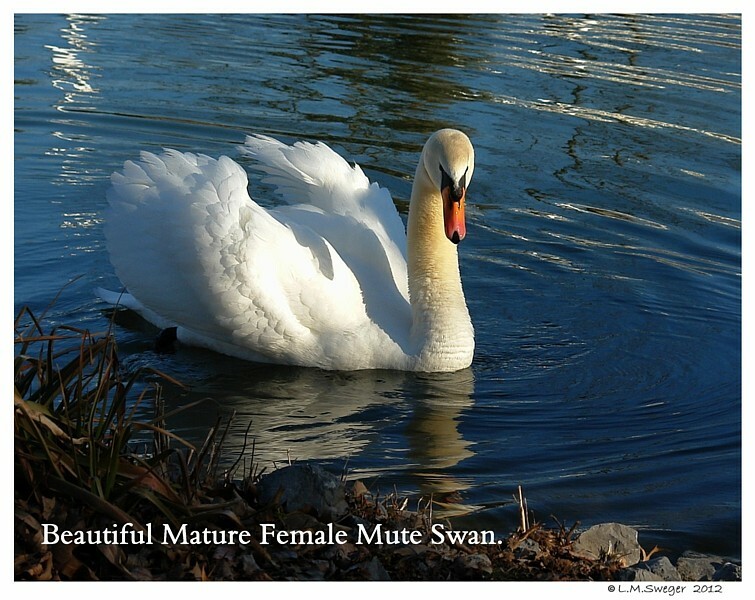 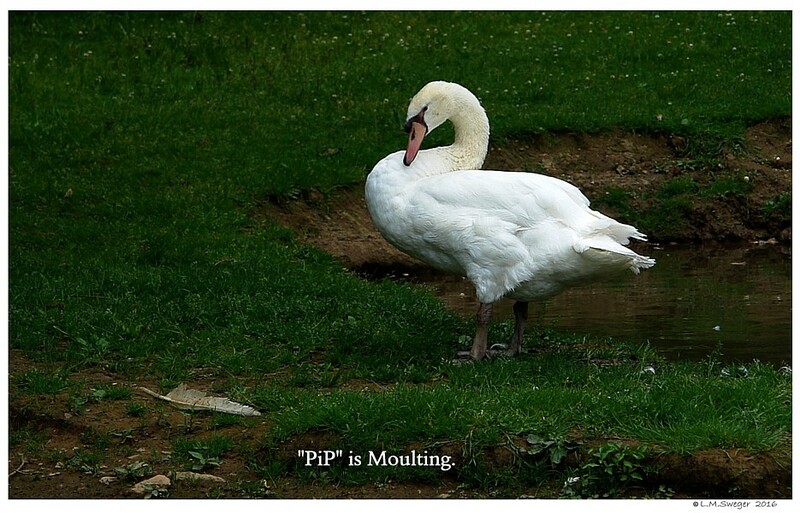 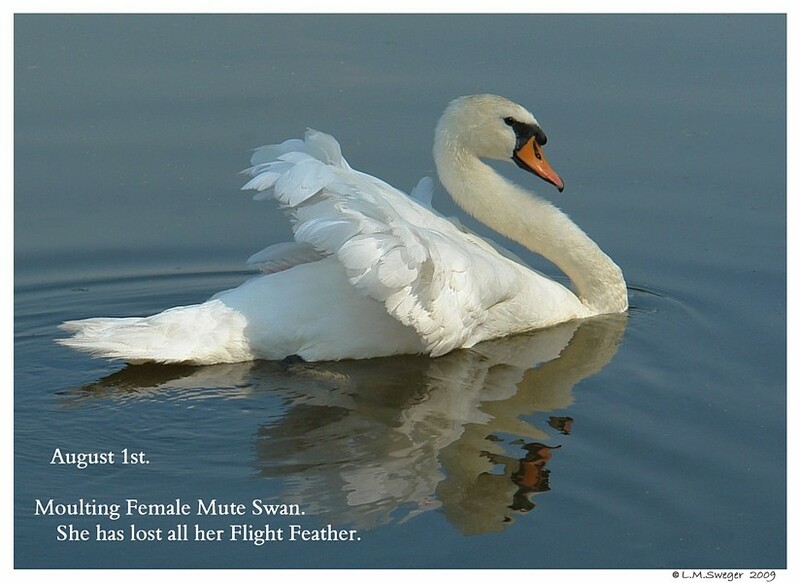 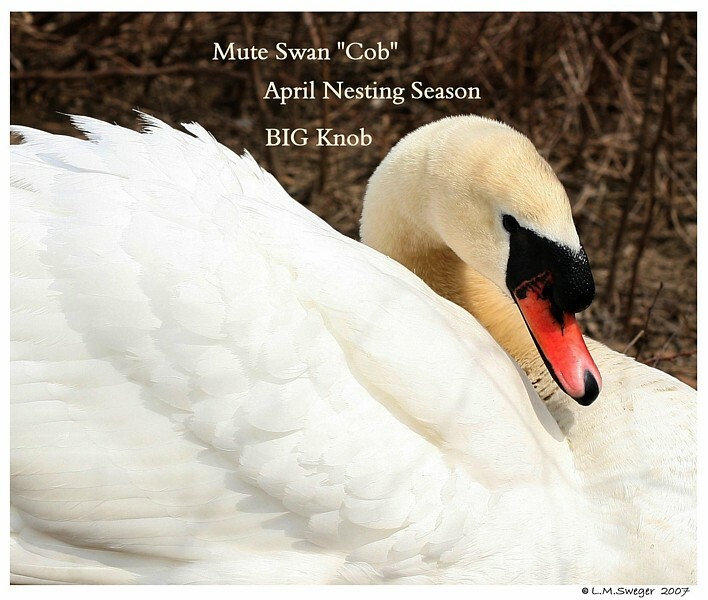 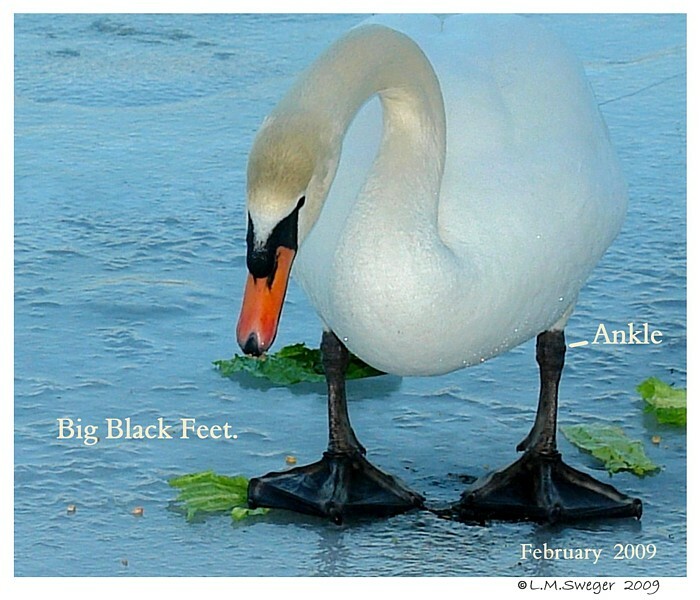 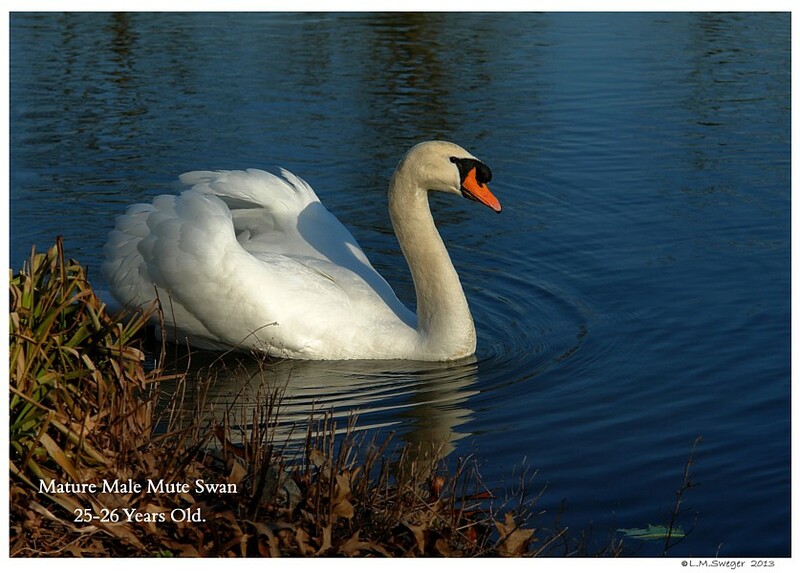 If a Swan has a Poor Diet, is underweight, their Moult may be delayed. 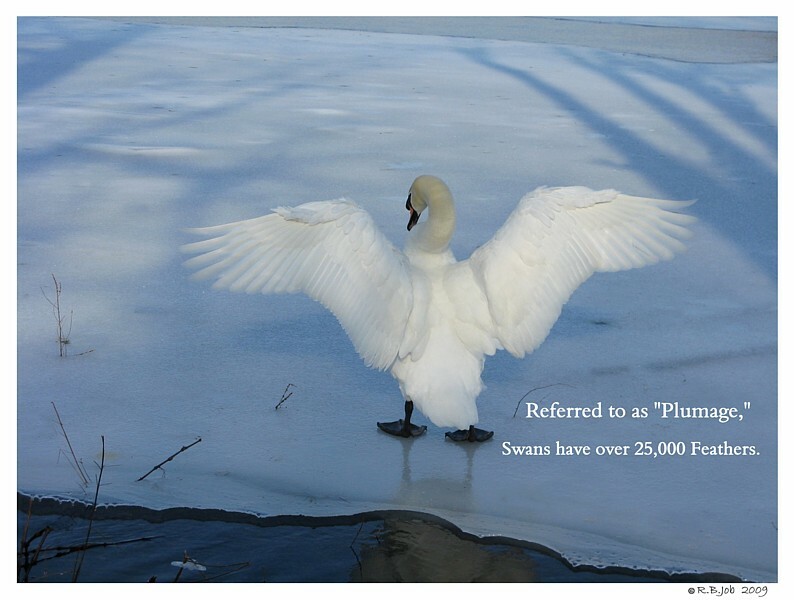 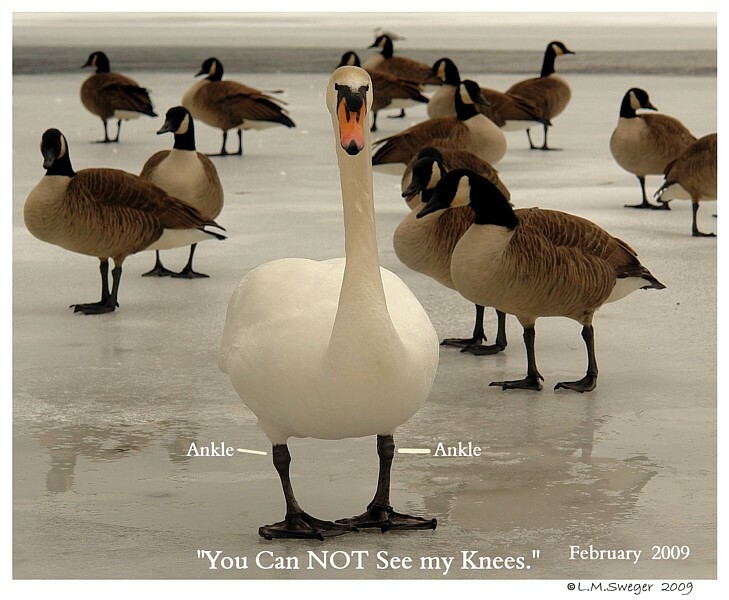 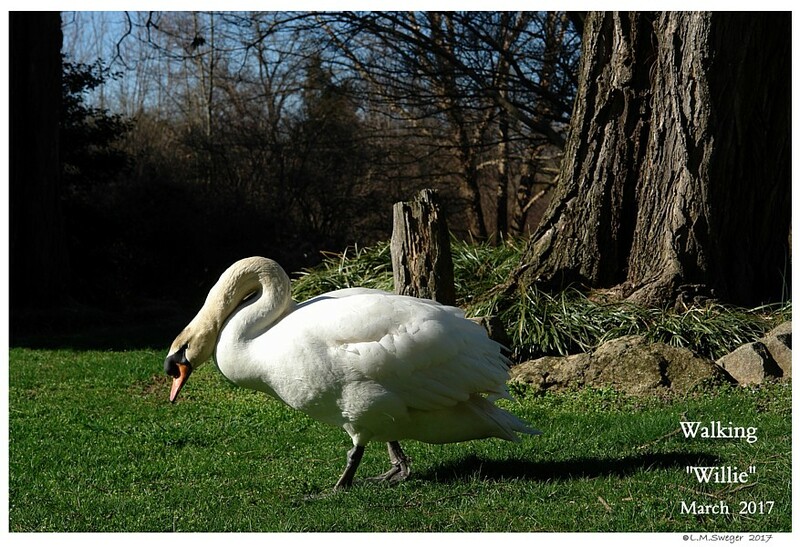 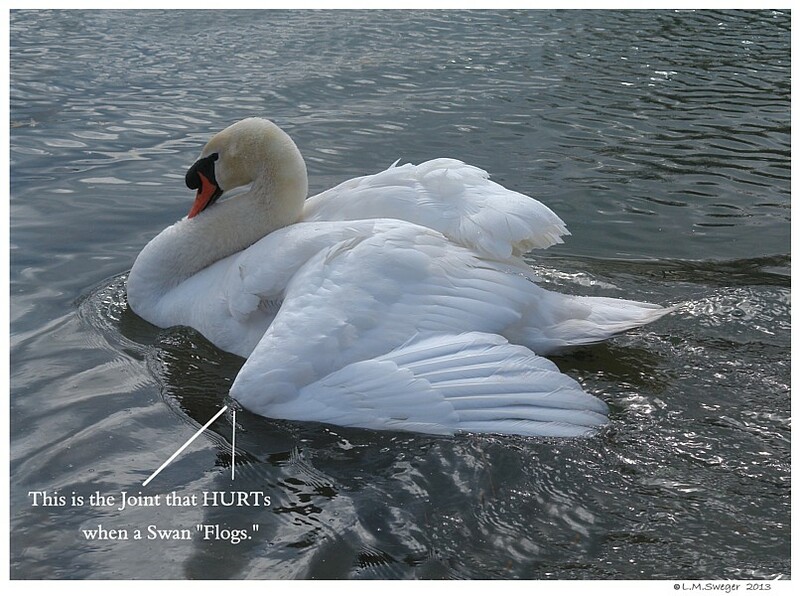 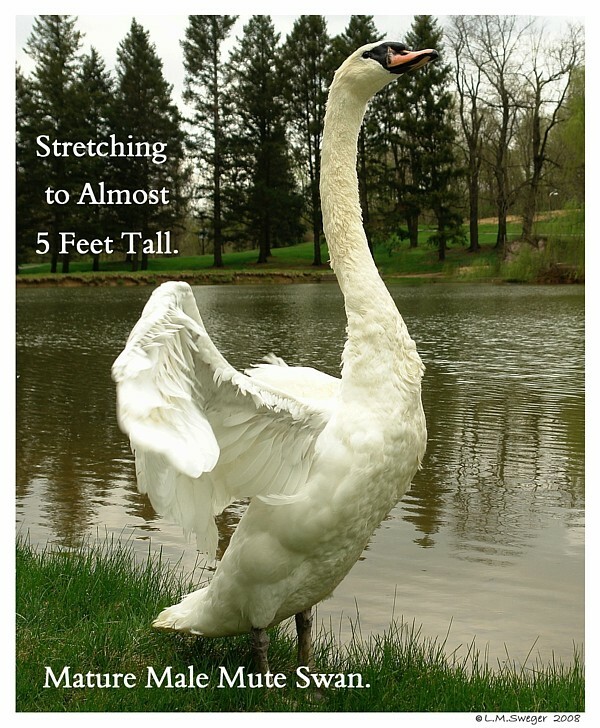 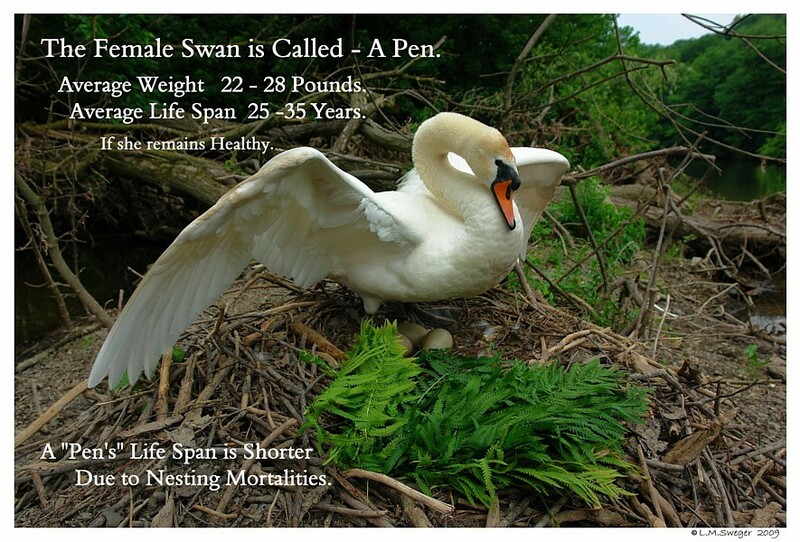 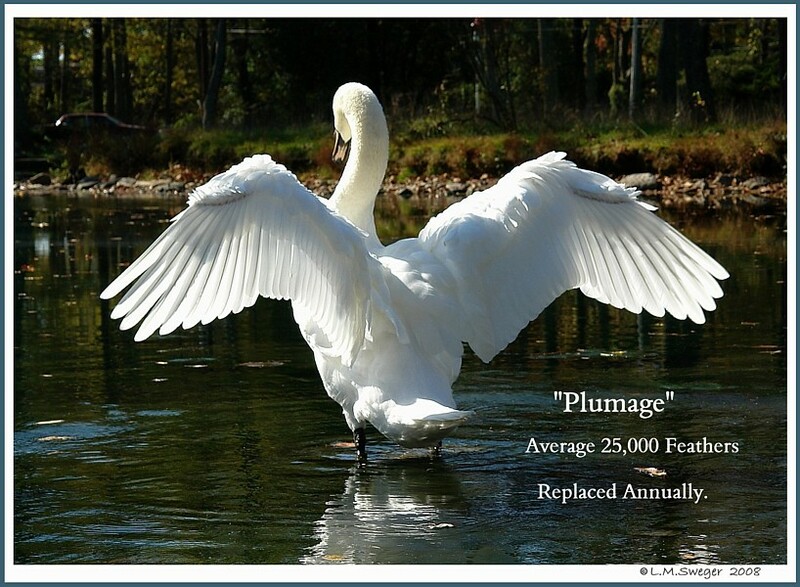 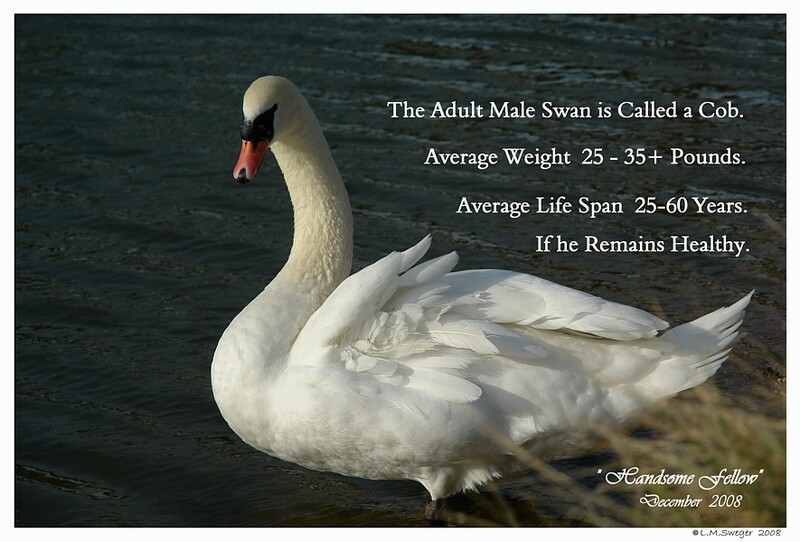 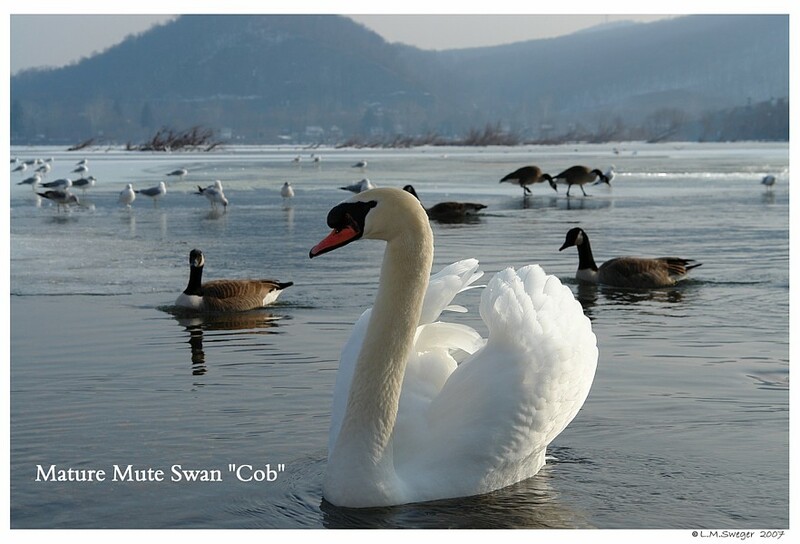 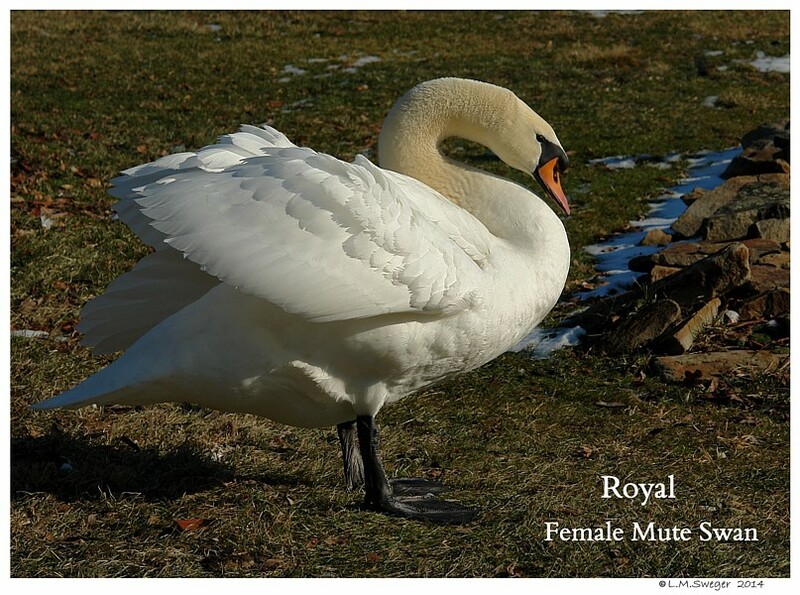 Swans typically loss a Pound of Body Weight with the loss and regrowth of their Feathers. 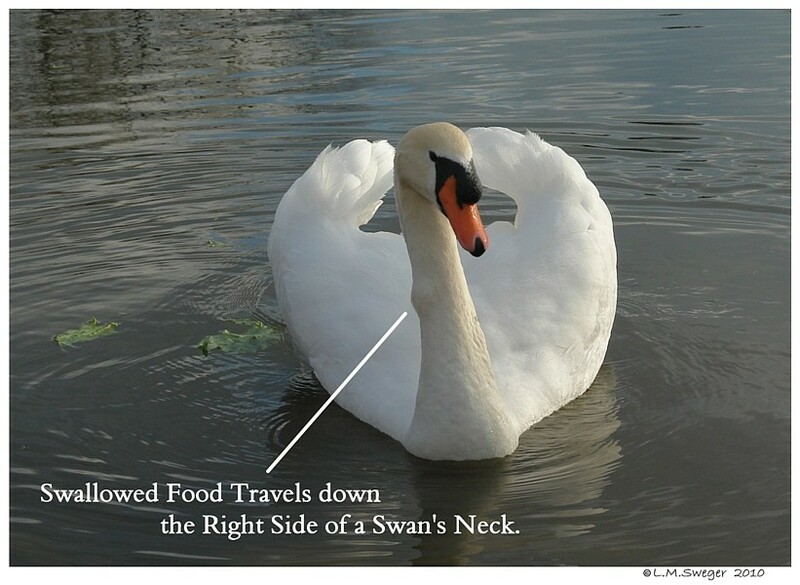 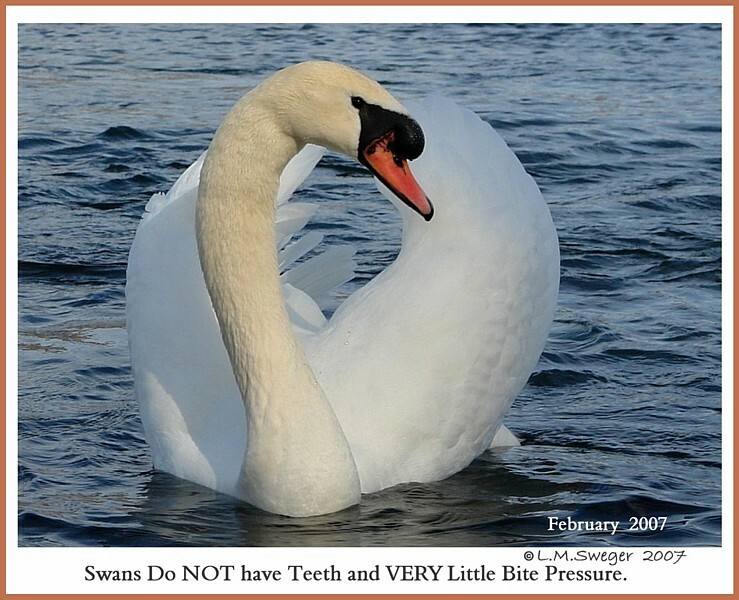 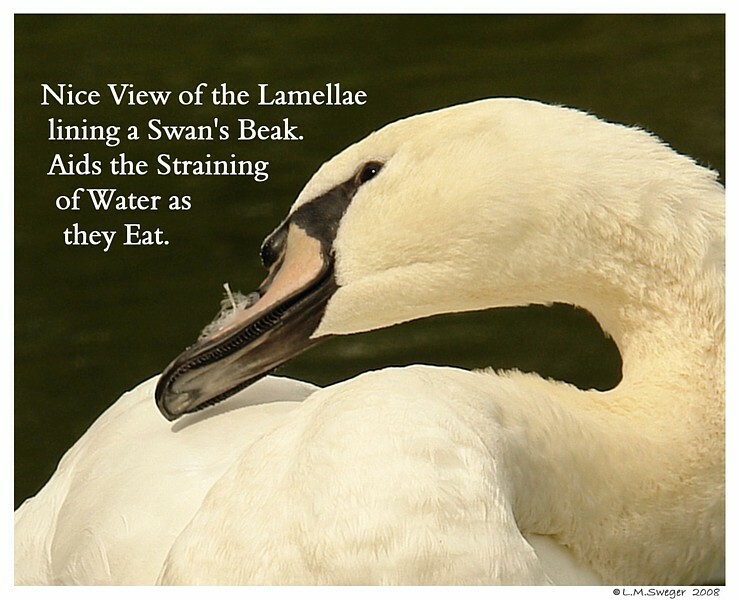 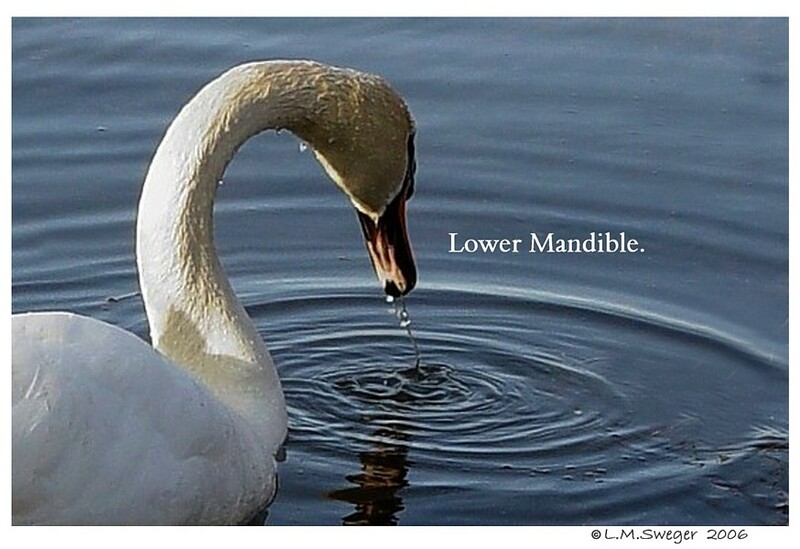 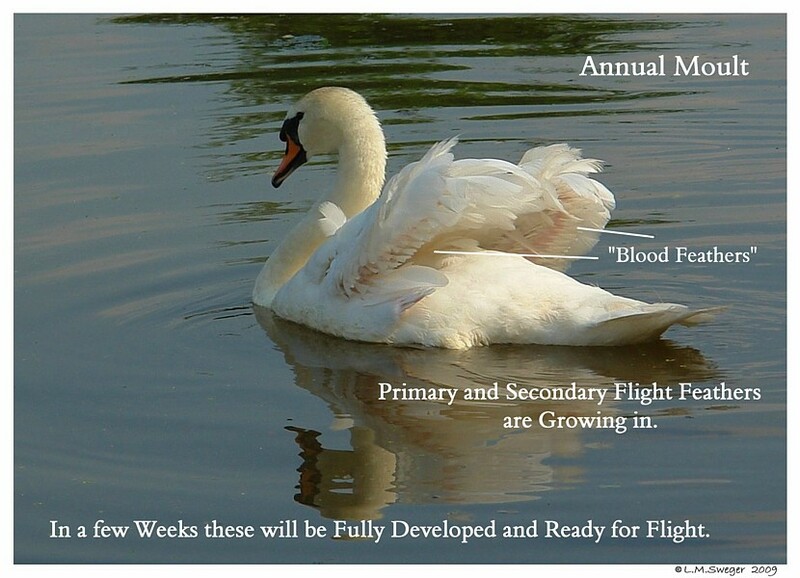 Good Nutrition will help keep your Swans Healthy. 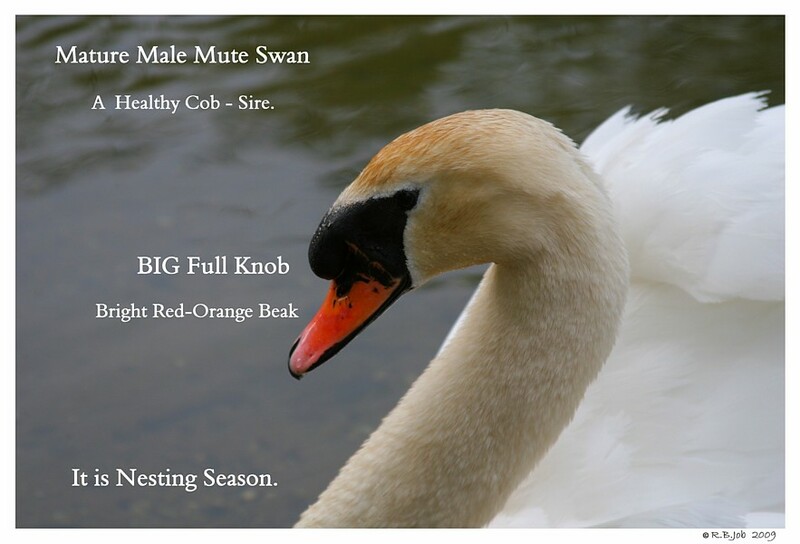 Also, the Females need to Replace what they lost laying their Clutch of Eggs. 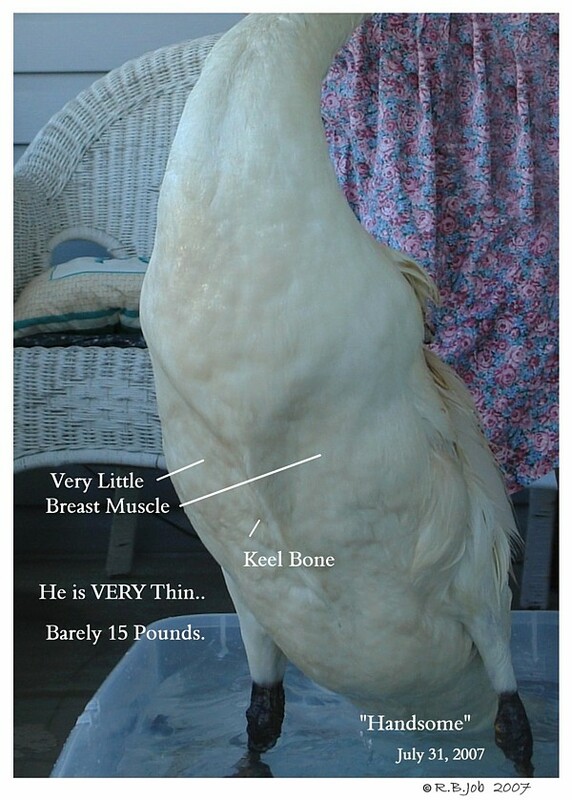 Atrophy once the Feathers have Fully Grown-in. 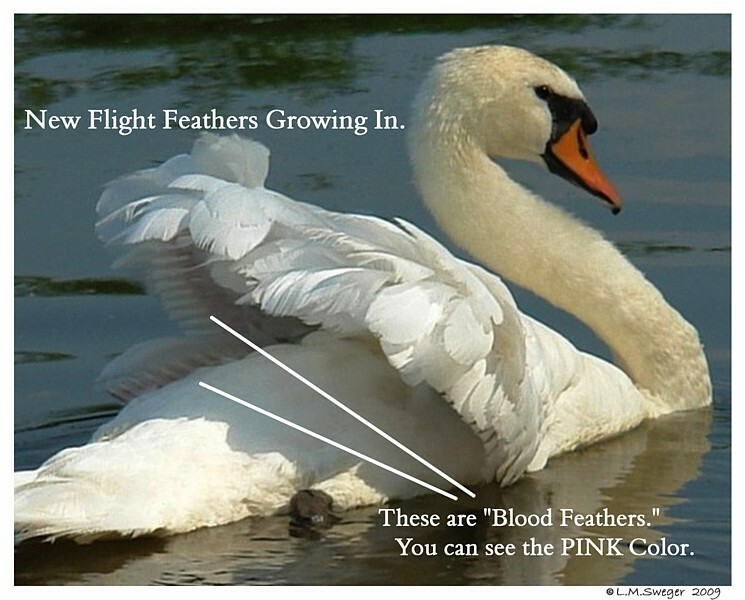 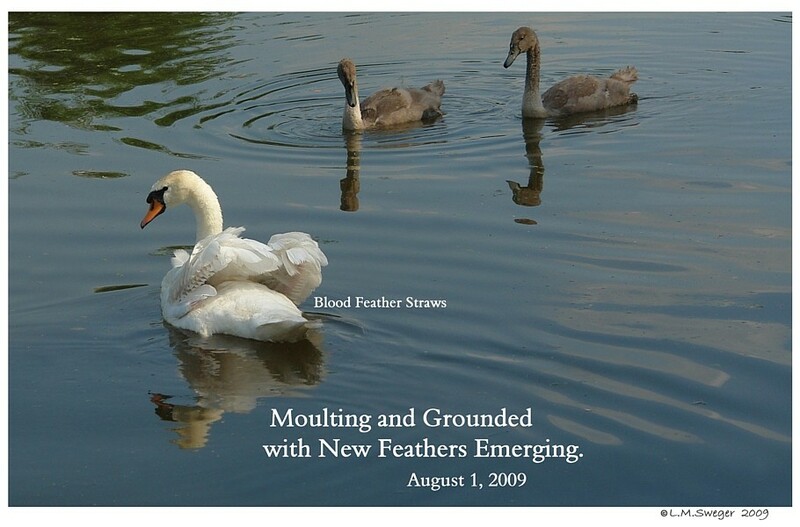 A Broken Blood Feather can result in Serious Bleeding. 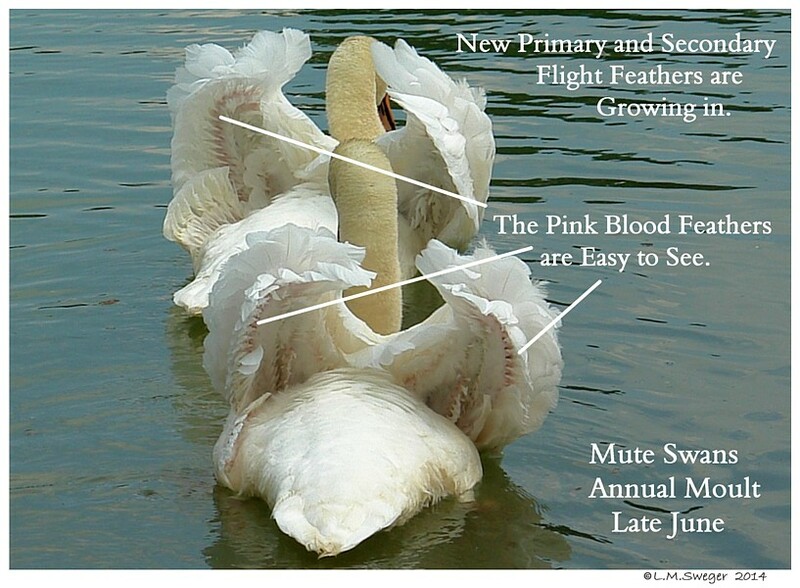 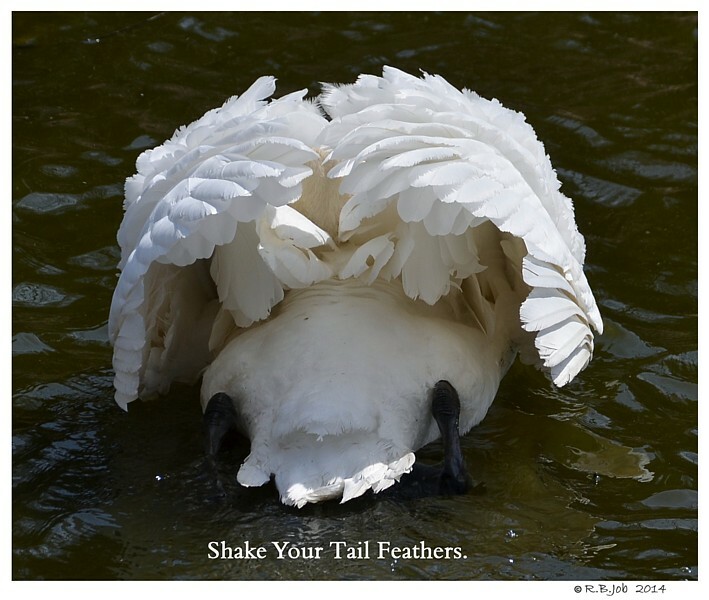 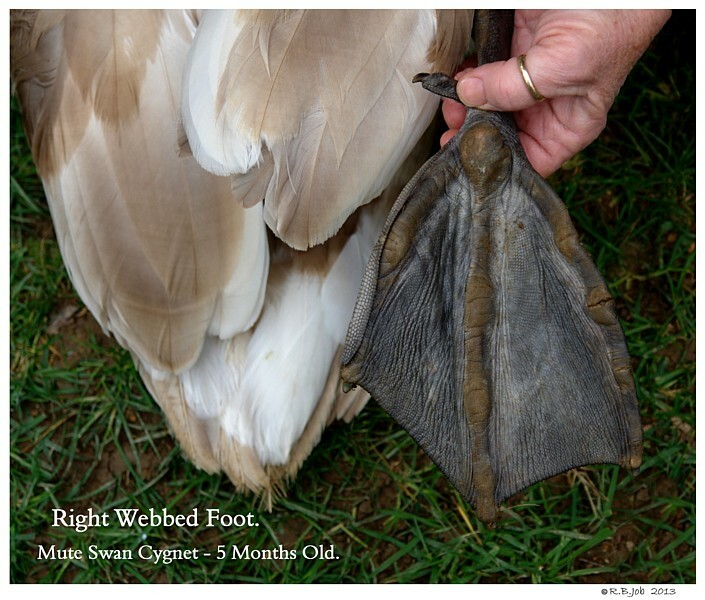 If your Swans is Full-Winged and needs to be Clipped Annually this is when you need to start watching for your Opportunity. 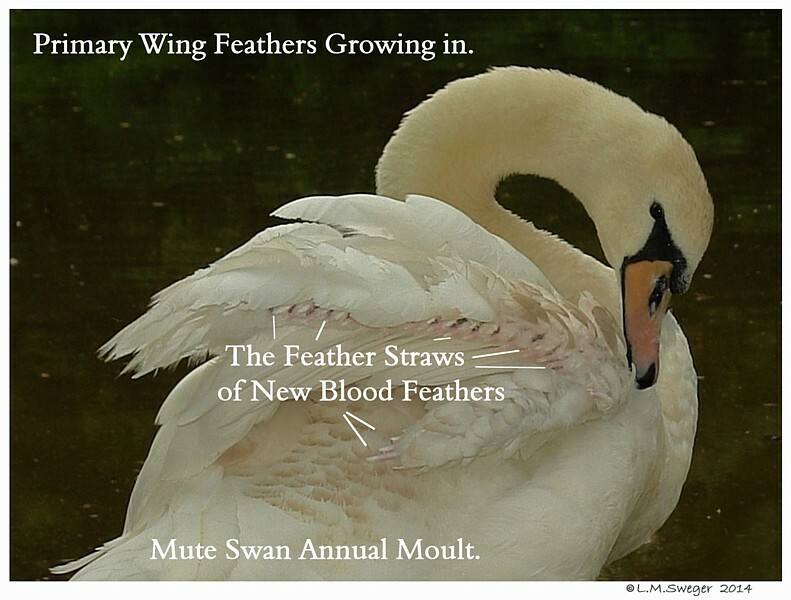 – Only where the Feather Shaft is White. 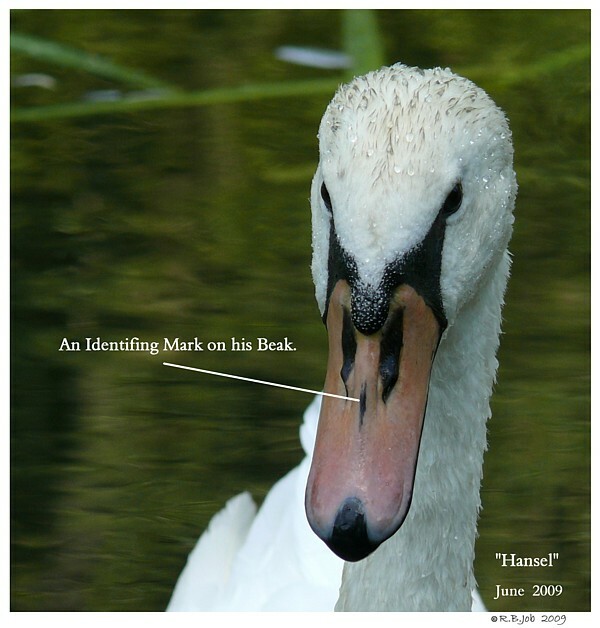 There is a Page to explain Clipping. 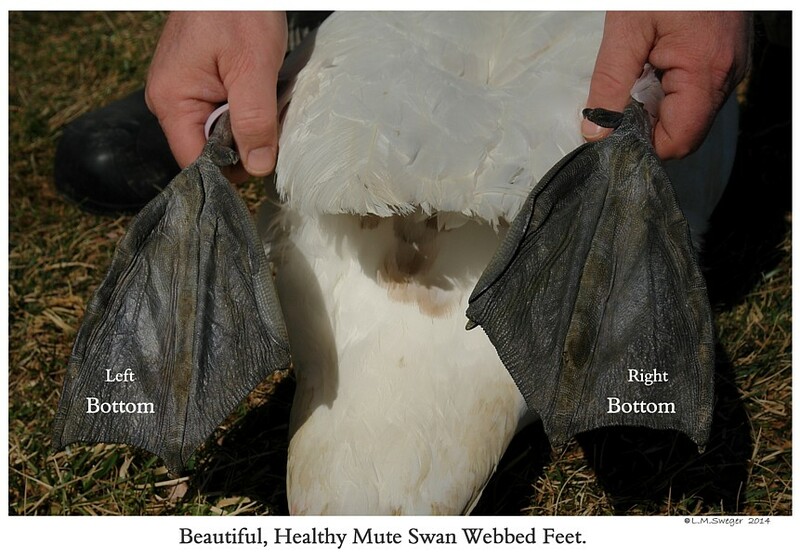 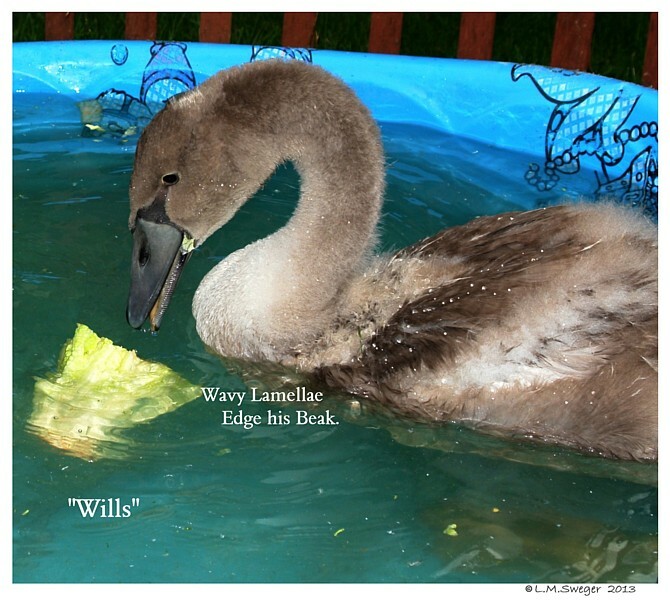 Clipping Captive Swan Pets to Keep them Grounded.